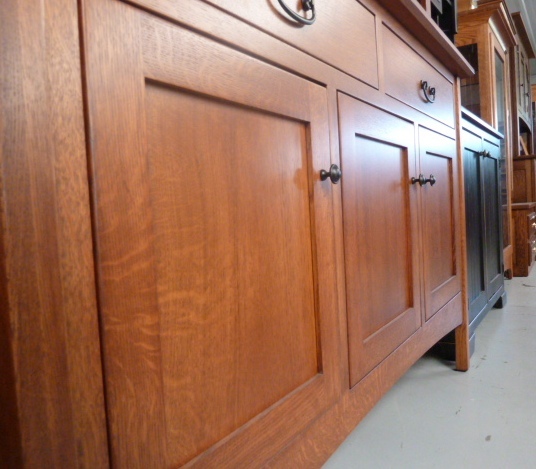 Amish storage furniture has so many door styles, you may not know how to talk about what styles you’re looking for. 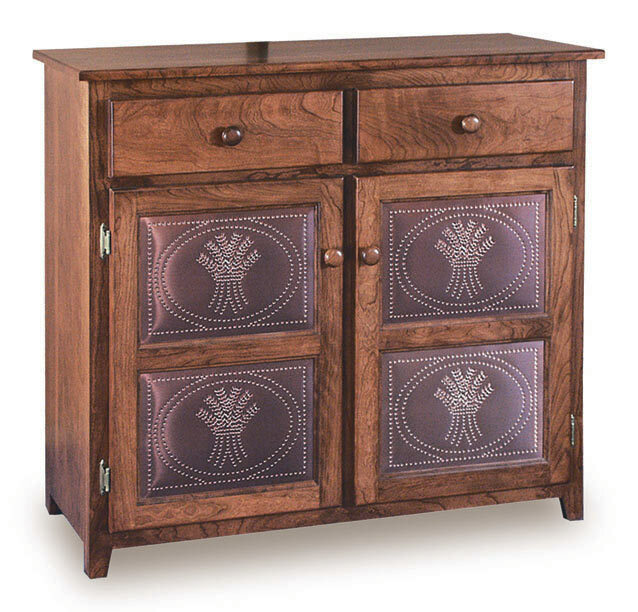 Wood furniture has been around almost as long as people have, and Amish people have been around for over 300 years. 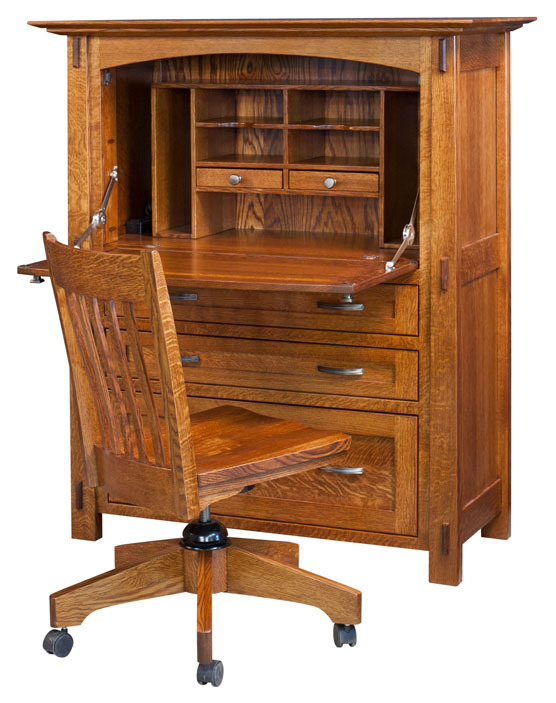 With that much history, generations of woodworkers were sure to create variations and refinement until the sheer variety became overwhelming to anyone who was not an expert. Luckily, there are some basic traits of all furniture doors that make it possible to decode what you’re looking at. If you start on the outside and work your way in, you can see what door type, and then what panel style you’re looking at. Let’s start with regular swinging doors. How is the door set on the furniture? Overset or inset door? Overset or raised doors sit over the storage compartment, maximizing your space inside, and creating a louder more decadent style. Overset doors emphasize light and texture. Inset or flush doors sit just inside the opening of the storage compartment, making its style look understated and classic. Flush doors emphasize the geometric outline of the door on the face of the furniture. What’s the difference between a raised and reverse panel? Raised door panels fit inside the frame pieces like a puzzle, but quickly curve out to protrude from the middle of the door so the most outward part of the panel is flush with the frame. This angled view shows how the center of the door panel is raised compared to the hidden edges which are carved to fit into the frame. The frame also complements the panel’s shape with some carving of its own. Raised panels have their own way of reflecting the light. They add texture and dimension to your room and are popular with traditional looks. Reverse or inset panels sit inside the door’s frame, making the frame appear strong and elegant. They are classic and modern without being overly minimalistic. In terms of showiness, reverse panels fall between flat and raised panel doors. Flat doors are plain and elegant. With no visible panels overshadowing them, the shapes of the doors themselves become the furniture’s primary style feature. When flat doors are inset, the rectangles of the doors’ outlines stand out and make a statement. When flat doors are overset, they don’t show as many lines around them and are their most minimalistic. Flat doors are more popular in modern furniture with artificial materials. 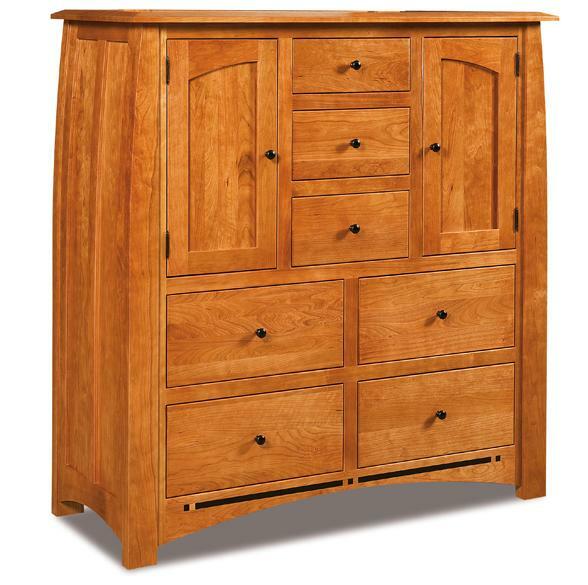 In handcrafted furniture, flat construction is more common on drawers than on doors, because drawers tend to have smaller faces that are less likely to become warped during seasonal changes. Some doors are simply made of full length planks fitted together. Once you understand door setting and panel types, it’s time to go deeper with style features! There are nearly unlimited shapes that workshops use to make door panels and frames. Below are only the most popular; there are potentially hundreds not listed here. Most popular in raised styles, the cathedral panel features a central arch with a flourish on each side. Cathedral panels’ curviness suit the luxurious look of traditional furniture. This one’s pretty straightforward: arched panels have an arch shape at the top. That is, an upward curve. Arched panel doors are easy. But what about a single arch that stretches across two doors? Half-arched panels mirror each other with half an arch going each way. If you have end tables that come in pairs, you can even get them to mirror each other, creating a large arch pattern with your bed or sofa in the middle. Shiplap is a wood surface made of several vertical planks with visible recessed edges in between them to create stripes. They look both finished and casual. Metal inserts are specialized. They turn kitchen furniture into breathable storage for your baking, such as in a pie safe. While glass windows have mullions to stabilize them, reverse panels can have mullions to add interesting shapes and patterns, or even to match nearby glass. Of course, you can skip paneling altogether if you’re looking for a glass door. Glass doors display your belongings while your furniture stores them. That’s why they’re popular in hutches and electronics centers, and even some bookcases. Glass also brightens a room by reflecting light. Mullions are pieces of wood or metal which sit across the window from one side of the frame to the other, and reinforce it while adding more style. Some mullions create art shapes and hold multiple pieces of glass together, such as in stained glass windows. Stained glass adds color and vintage style to a piece of furniture. 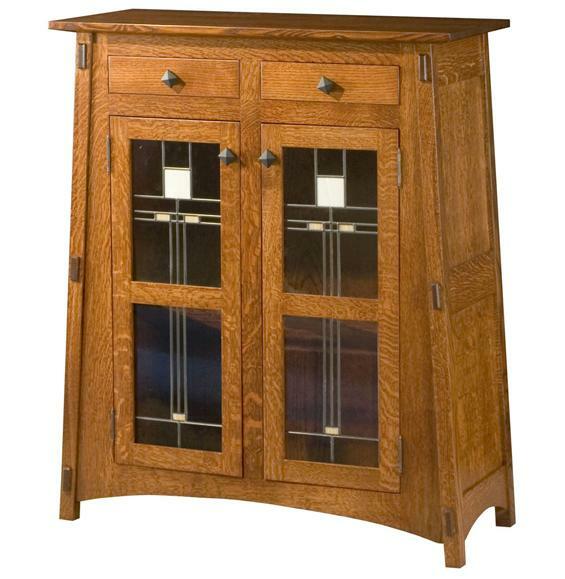 Vintage-style cabinets and barrister bookcases may use stained glass to imply seriousness and value within. Don’t let the “plain” in “plain glass” fool you. Plain glass is functional. It offers the best visibility for the items stored inside, and emphasizes the style features of the wood framing around the glass. Swirly and wavy, baroque glass simulates an old method of glass making, in which slightly different batches of glass are just mixed together so they adhere, but their different colors or densities stand out and make waves. Straw glass looks as though someone had dropped pieces of straw all over it while it was soft, to create the appearance of short lines scattered all over. Water glass has fluctuating thickness throughout, so it looks as though light is shining on it as it would through a naturally moving water surface. Seedy glass is full of bubbles, as though someone had scattered seeds over it while it was still soft. 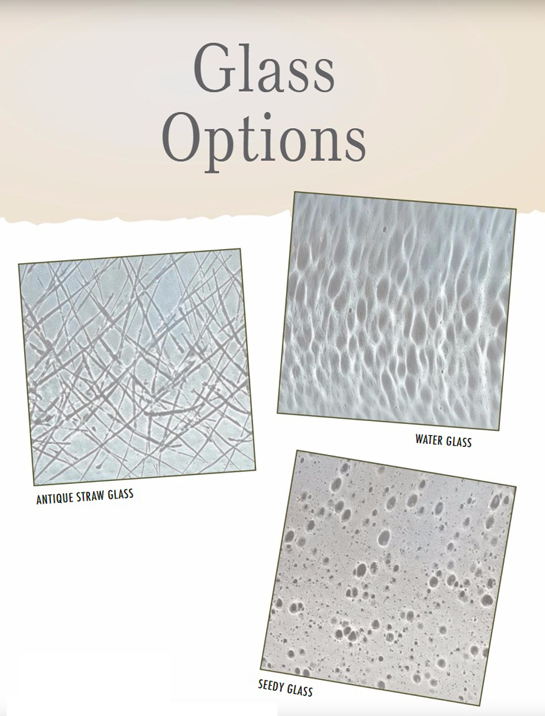 Smoked glass is as modern and smooth as plain glass, but a blackish tint keeps it dark and conceals many of your items inside. It’s popular in TV stands as it lets the lights of your electronics show through while the casings don’t. Thick glass may have edges that taper toward the frame, reflecting light in different directions. 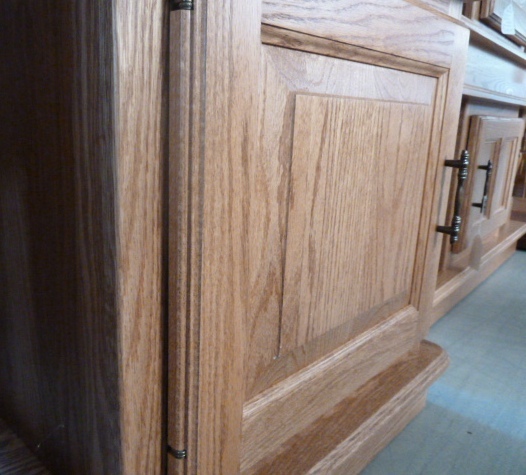 Sometimes beveled edges help glass match the shape of raised wood door panels elsewhere on the same furniture. Beveled glass creates a luxurious appearance and may even have a prism effect of refracting rainbows in the room. The frame that makes up the edges of the door and holds the panels can also come in a variety of styles. A furniture door frame usually consists of two vertical pieces running the full length of the left and right sides, with two horizontal top and bottom pieces in between. The panel goes in the middle of these four pieces. A frame has mitered corners when each piece joins the next one at an angle. Instead of fitting the horizontal pieces inside the vertical pieces of a door frame, mitered joints give each piece an equal role in holding the door together. Mitered doors make a piece of furniture look dapper and held together. A furniture door frame can be more than just boards around a panel. Craftsmen may carve those boards in a variety of textures. Some frames are rounded, while others have grooves progressing toward the panel. 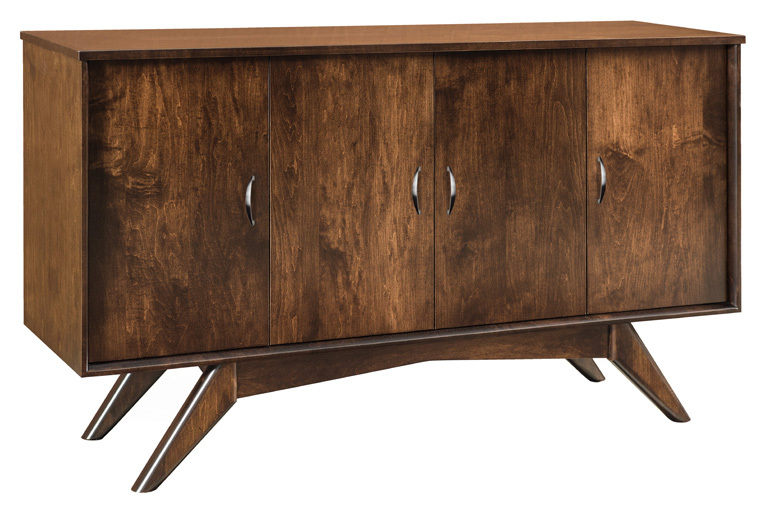 Textured door frames can add rich detail to wood furniture. Swinging doors are the most common wood furniture door mounting styles, but here are some other door types. 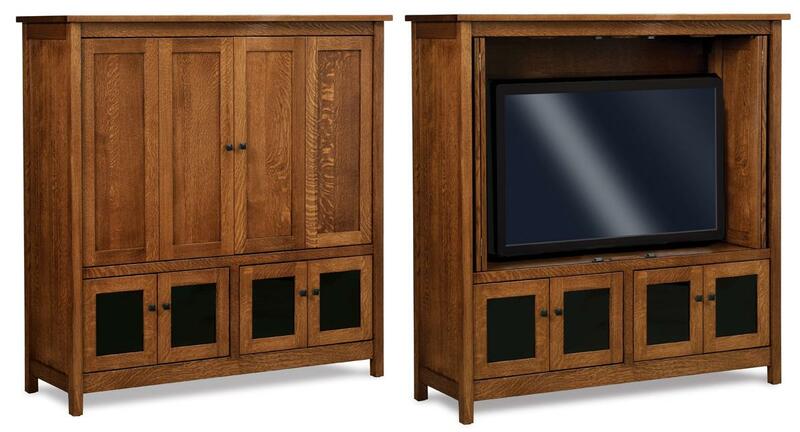 Sliding doors are most popular in electronics centers such as TV stands. Rarely protruding from the furniture makes sliding doors functional in specialized ways. First, since they are often close to the floor, they don’t risk tripping you as you walk by. Second, you can leave them open without using up extra space, to help your electronics vent and to keep buttons accessible. They are less likely to fall closed when you don’t want them to. Most sliding doors need to fit in their tracks and pass each other by, so they will usually come in smooth elegant styles with limited texture and either a very small or no handle. But there are still thousands of style possibilities. Tilt-out doors are for convenient functional storage, like in a kitchen, office, or hobby room. They’re made for the contents of your furniture to slide out with a single arm motion of opening the door. To protect valuable legal archives from dust, barrister bookcases have a glass door for each shelf which tilts out and up, and slides back into the shelf on treads. You’ll be able to spot a tilt-up door by the handles on the bottom. Roll top doors aren’t only for the bread box. They’re useful on any piece of furniture that can benefit from a flexible door that hides away when open. On desks with high side panels for privacy, roll top doors follow the shape of the panels and use up no extra space. These doors are two doors in one that fold together while sliding on treads, just like closet doors. This helps them swing out of the front less. Popular in combination with bi-fold doors, pocket doors slide back into the furniture to stow away when open. Why do doors have panels? 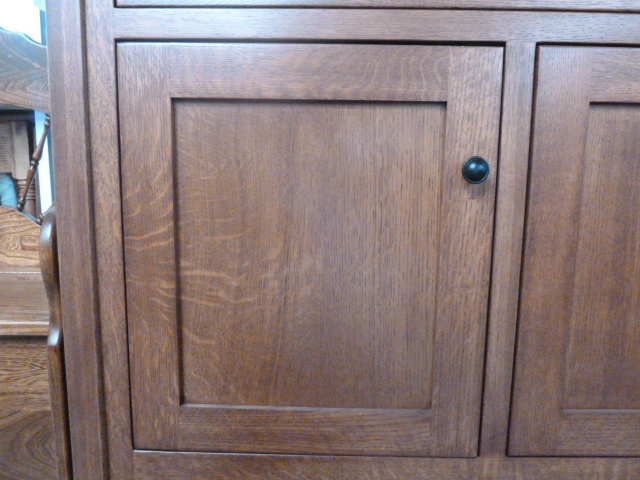 Wood furniture doors have panels because wood is porus, having previously been alive. Because it breathes and absorbs moisture, wood changes shape with the weather. Sometimes the change is too subtle to see, but sometimes it is severe enough to warp or crack large, flat pieces. Constructing a door out of smaller pieces allows them room to slide subtly in and out of each other, so the door can retain its overall shape. What’s the most important thing you’ve learned about Amish furniture door panels today? Let us know in the comments below. 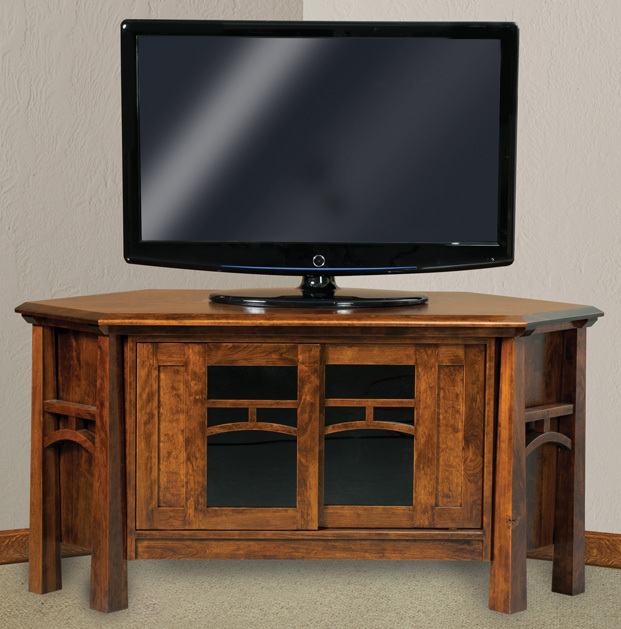 The Heritage 49” Flat Panel TV Stand mixes tough construction with luxurious details to make a statement. 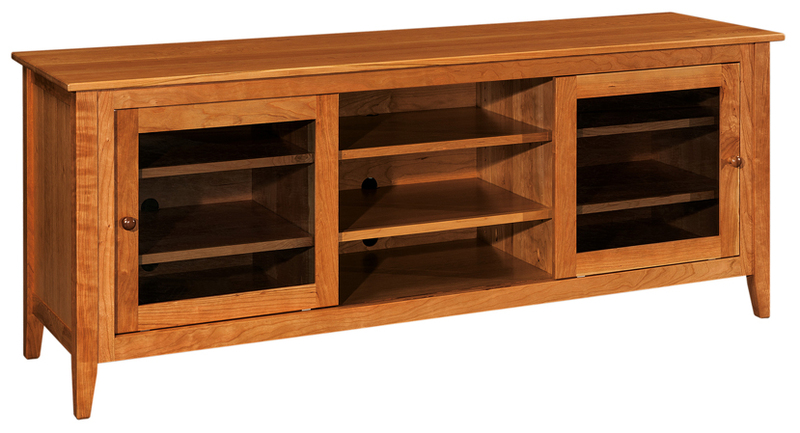 This TV stand features crown molding under its 1” thick roundover table top. The glass doors are overset in keeping with the dimensional style. Shapely feet make up the Jonie base. The Heritage has solid sides and holes in the back for electrical wiring. Shown in oak. If you want your outdoor furniture this year to be handcrafted, planning early will buffer the time that workshops take to build your things. To help you get ready on time to use your whole spring and summer, here are the most important things to consider about your land and what you want from your furniture. Who will use your furniture might affect which pieces you choose. For instance, if your family is growing, you might want to use regular size items instead of a bar height dining set. Kids might appreciate the bright colors of poly vinyl. It’s also the easiest surface to clean up after kids of all ages. Will anyone with limited mobility be using your furniture? 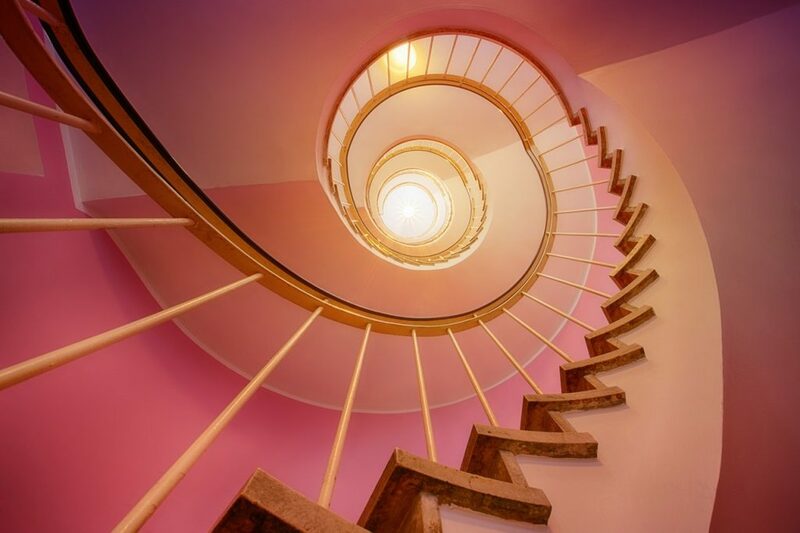 Luckily, you can choose from numerous items that are easy to get up and down from. Depending on the person, a glider might be more practical than a rocking chair or swing. A conventional patio chair might be more relaxing than a low, angular Adirondack. What Do You Want to Do Outside? Knowing what the people who use your property do out there, and where on the property they do it, will help you decide what furniture will make those experiences better for them. 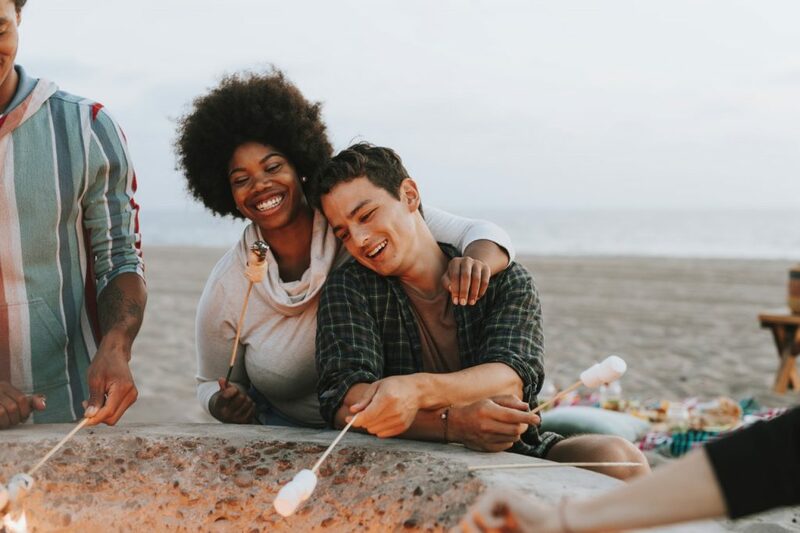 You may also have some activities that people currently do indoors that they would take outside on a nice day if they had the right furniture. An outdoor kitchen and dining space aren’t the only uses for your backyard. Maybe you would like to create a theater, a place to talk over tea, or a spot to watch horses. There are limitless uses for your outside. America is a big country with a diverse range of ecosystems. Some areas have burning hot summers. Some have tornadoes and hail. Some areas have a drastic temperature difference between summer and winter. Some are damp or may flood. And if you have an outbuilding to store furniture, you’ll get different results depending on whether it’s a shed, garage, tent or boathouse. 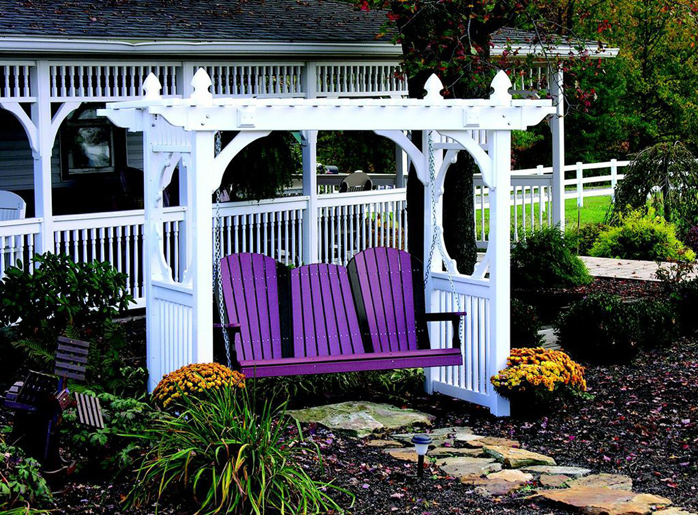 Amish outdoor furniture has solutions to help you deal with the weather. In the summer, wood won’t heat up as much as smooth surfaces like metal or plastic. Many outdoor dining tables can receive shade umbrellas. Cushions can protect you from a hot seat. Poly vinyl won’t bend or crack in sudden episodes of moisture or temperature fluctuations. It can survive being thrown around or hammered on. If you’re really cautious of your local climate, folding furniture is much easier to keep indoors. Which furniture will stay under a roof, for instance on a porch? Which items will sit on grass, deck, or patio? What will be near a fire pit and smoke? Do you want to carry items inside when you’re not using them, or leave them out in the elements? What about winter? Do you have a shed where you can keep things? Do you have a big property, so some things will be sitting far out where they will be impractical to carry inside nightly? Do you have a vehicle to help you carry things? How physically fit are you? Do you have help? 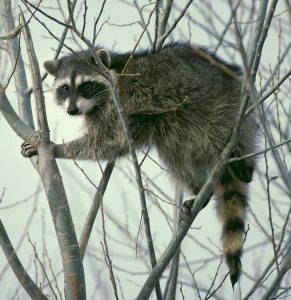 Do you ever have to clean up after uninvited wild animal guests? Some furniture is easier to carry to storage: it folds or it’s lighter in weight. Poly vinyl will survive a hands-off maintenance approach longest, but even wood outoor furniture should last through an impressive number of winters, and some people like the weathered look of wood that has been outside for a few years. You don’t have to choose wood to maintain a rural look; poly vinyl is available in traditional colors such as browns and greiges. Go easy on yourself, it’s supposed to be fun! 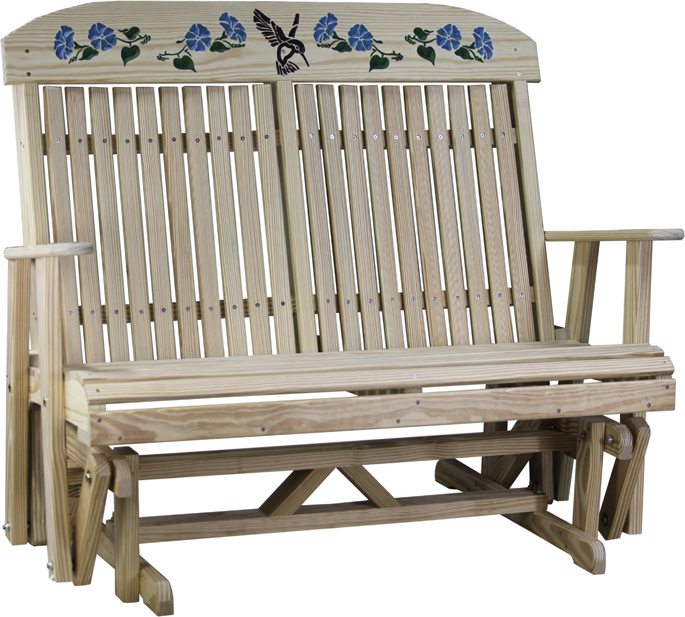 There are valid reasons for choosing any of the materials available in Amish outdoor furniture. Poly vinyl is so easy to take care of, it’s virtually a no-maintenance material. But did you know that it’s made out of post-consumer recycled plastic? Wondering how plastic furniture can be handcrafted? Easy, Amish workshops get the poly lumber in and build with it like any wood. 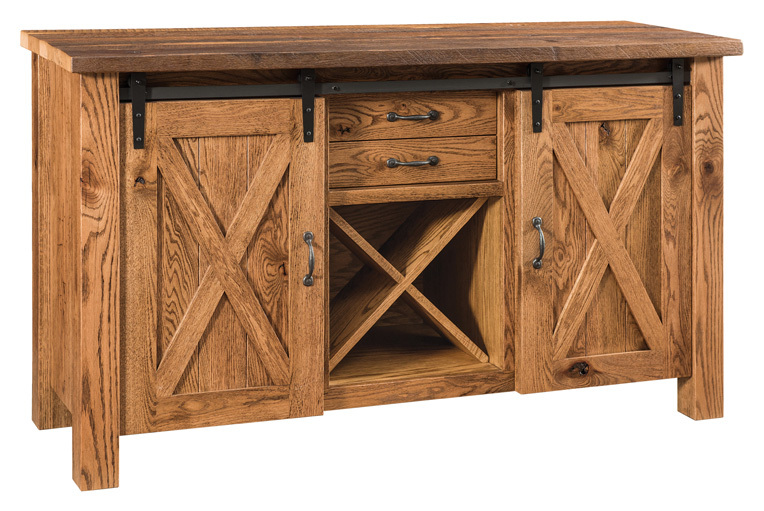 Combining a nearly invincible material with Amish craftsmanship creates furniture that can almost last forever. The boardstock comes in nearly every color, from natural shades to bold modern colors. If you’re looking for furniture that doesn’t fade, try poly vinyl. 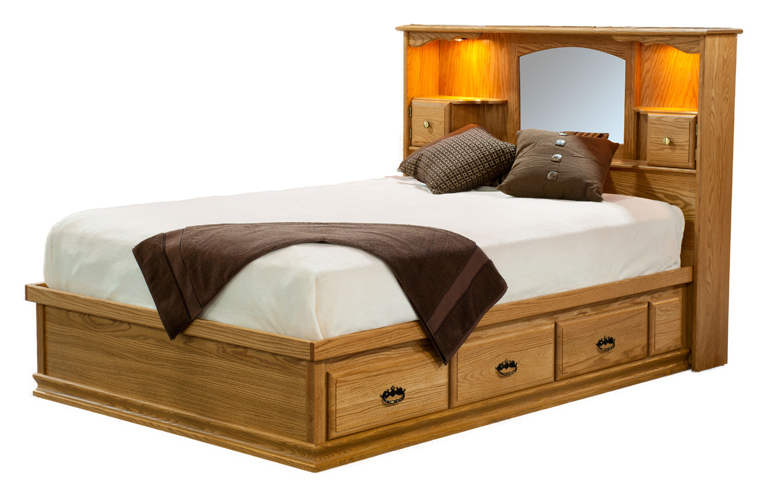 Softwood furniture can still have a long life if you take care of it. 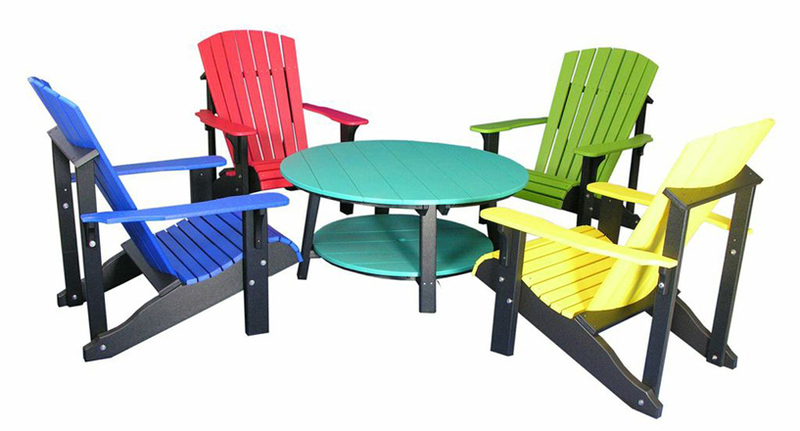 Some people prefer the traditional country style of wooden furniture in their outdoor spaces. Here are three types of wood that are well-suited to the outdoors. Southern yellow pine is the most versatile softwood for Amish furniture and a popular choice for beloved classic styles. This pine is pressure-treated for longevity and hand selected by craftspeople. 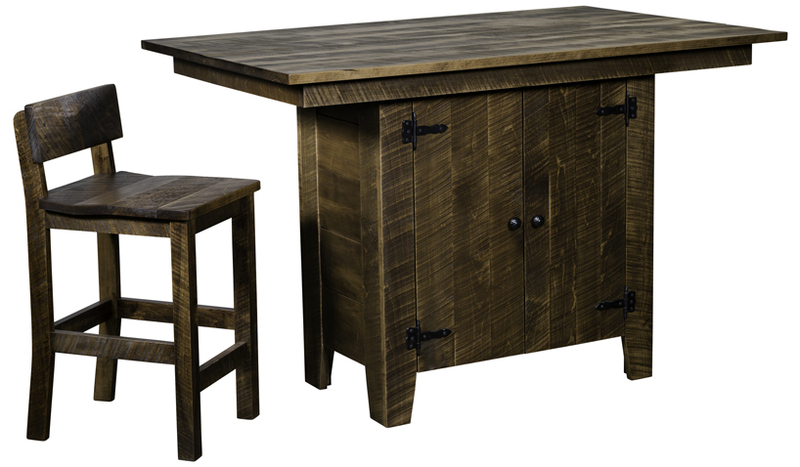 Many yellow pine furniture pieces come with a large number of options for outdoor finish colors, embellishments, and accessories. 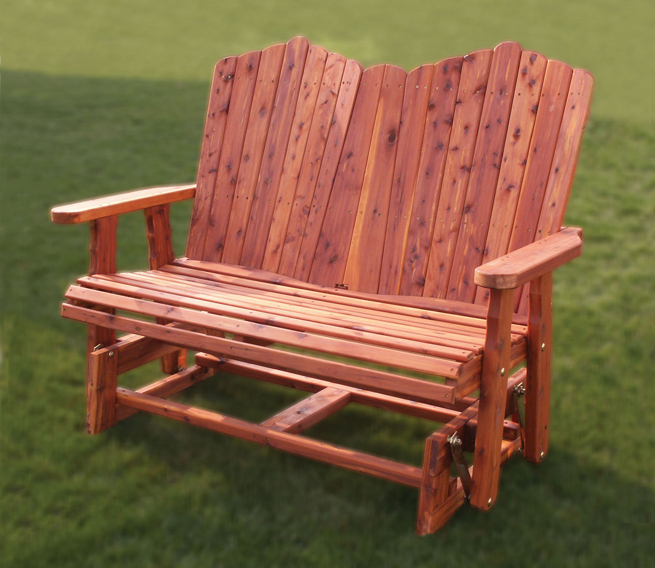 Aromatic red cedar is a classic way to add color to a rural yard, beach or dock. It’s popular for both furniture and garden ornaments. Outdoor sealer helps it stay smooth outside. 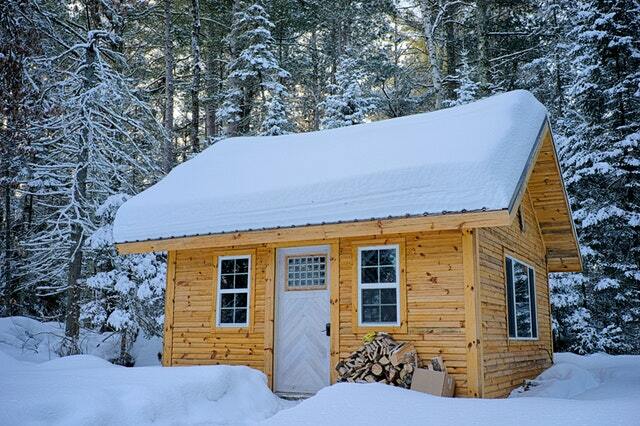 American-grown lodge pole pine is a popular choice for lightweight, rustic-style pieces and log furniture. Consider getting an exterior finish to help it last outside. Whatever material you use, your furniture will last longer and keep nicer if you wipe it down after it rains and store lightweight or collapsible items indoors. Humans aren’t the only people who use outdoor furniture. Birds, critters, and garden plants will enjoy climbing or perching on your decorative items. A trellis, planter or arbor will help your garden grow in three dimensions. 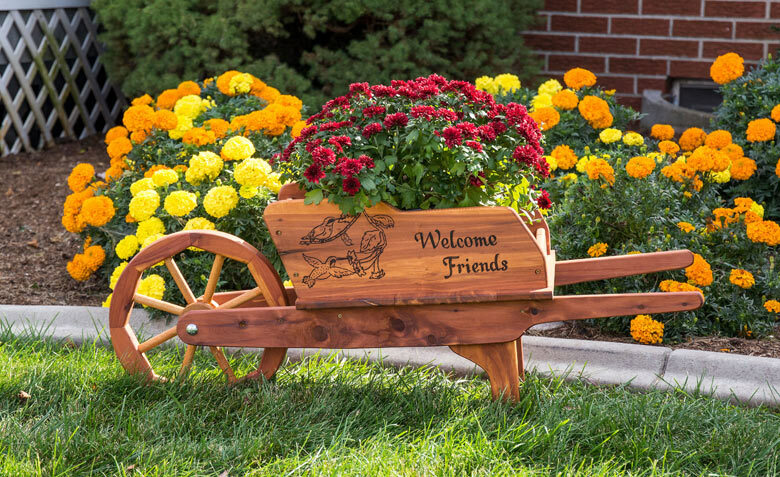 Cedar lawn ornaments offer traditional elegance, so you can escape the big box store plastic look. Remember to add finishing touches while you furnish your outdoor space. When you have your best furniture outside, you’ll want to use it. What kind of things would you put in your perfect outdoor space? Let us know in the comments below. 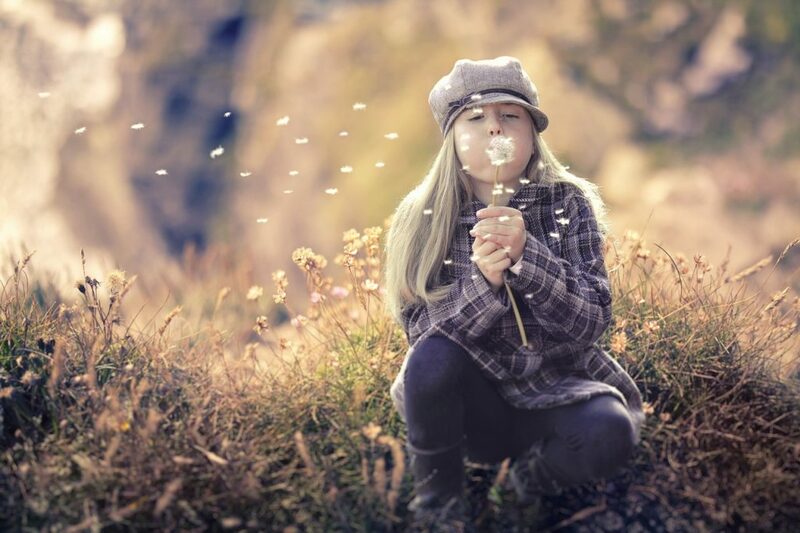 Do you want to go outside more this spring and summer? 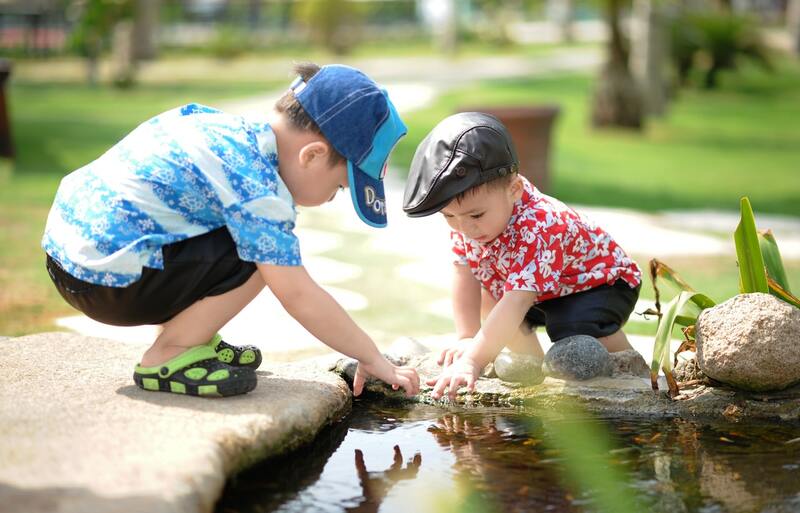 Do you want to get the kids off of their devices and into fresh air? Maybe you need a place to sit. Here are 12 kinds of outdoor seating to make your yard appealing throughout the warmer months. A bench is a staple of outdoor seating. It invites people outside and brings them together. A bench is a great way to maximize the number of available seats, since individual chairs need more space from one another. Sometimes you have a nook outside that best fits one person. Many lawn chairs are smaller versions of benches that can keep one person, plus a small pet or your crafting, cosy. Some chairs have optional footrests. 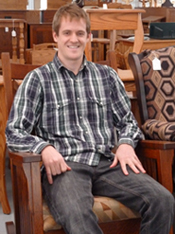 A rocking chair is a staple for relaxing indoors or out. As long as you know your chair, your rocker lets you lean back when you want to or sit up when you want to. Sometimes the constant movement is what makes people happy to sit in rocking chairs. For many people, a glider meets all the function they need in its ability to move, even while it stays upright. A glider base is a technology that “rocks” back and forth while its feet stay flat on the floor. This keeps you from damaging your deck or lawn over years of rocking. Gliding bases make new kinds of furniture available. Now you can get a glider foot rest for your chair whether it’s a rocker or a glider. 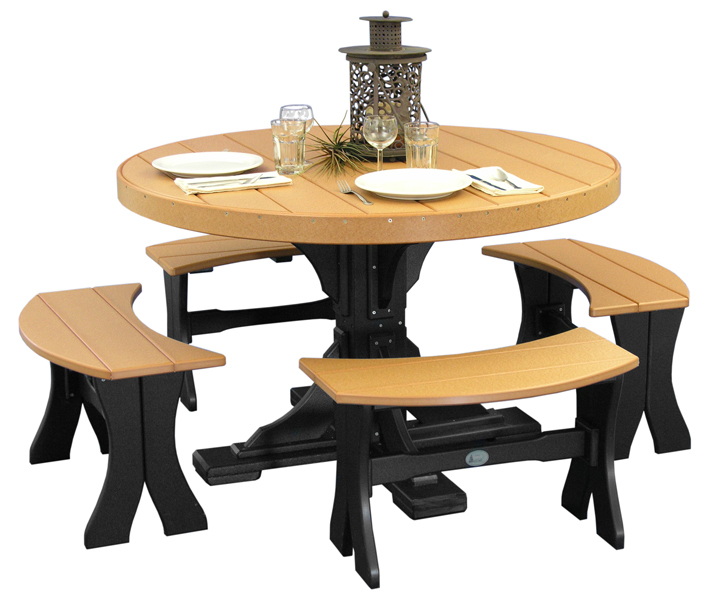 Benches are another thing that were not practical to design with rockers but can be built with a glider base. Now let’s get down to business. A lounge chair is designed specially for loafing around on. The back goes all the way up to your head, while the seat goes all the way down to your feet. The whole thing is contoured to the shape of the human body, and it reclines back. Most lounge chairs come with matching-length cushions. 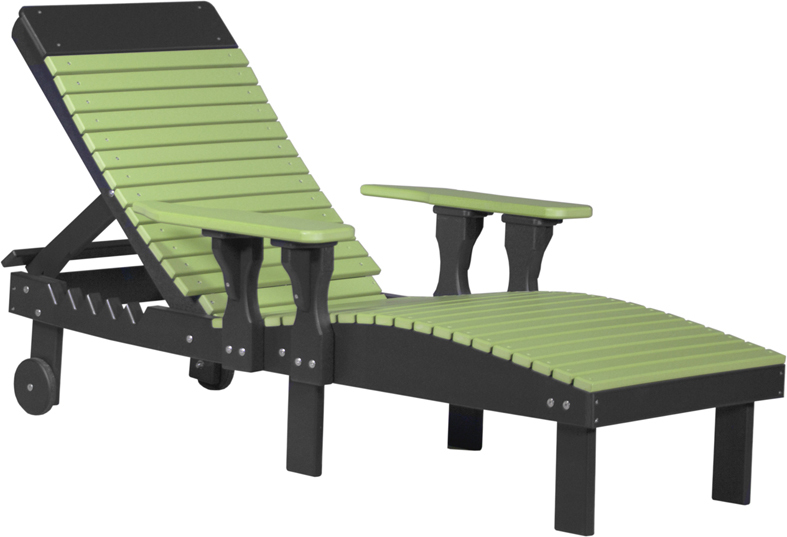 This big lounger for one is great for falling asleep while reading a book. 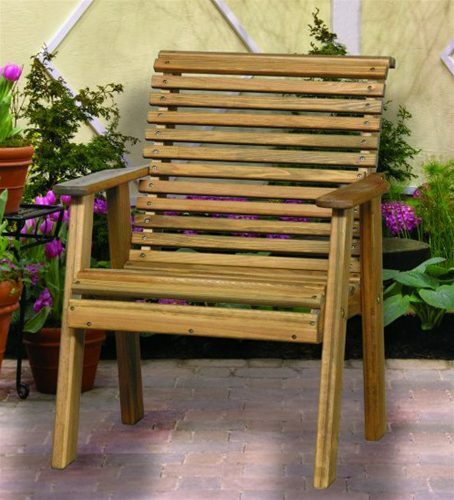 To lean back without using as much leg space as a lounger, try an Adirondack chair. Named after the Adirondack Mountains, this chair is easy to recognize by its fanned plank back that is angled back to encourage lounging. 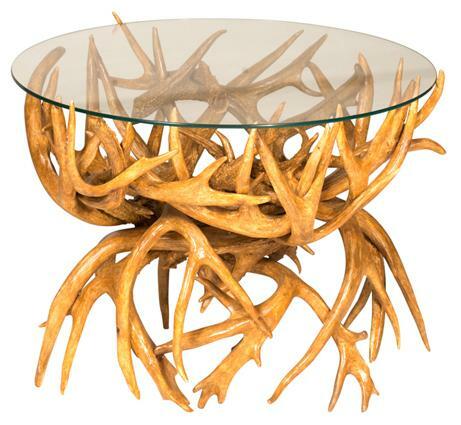 The Adirondack’s design follows the natural bends of the human body. The broad paddle arm rests sit at an ideal angle to the seat and curve out to follow a partly spread human arm. The seat may angle downward toward the back, so the user gets in and relaxes. 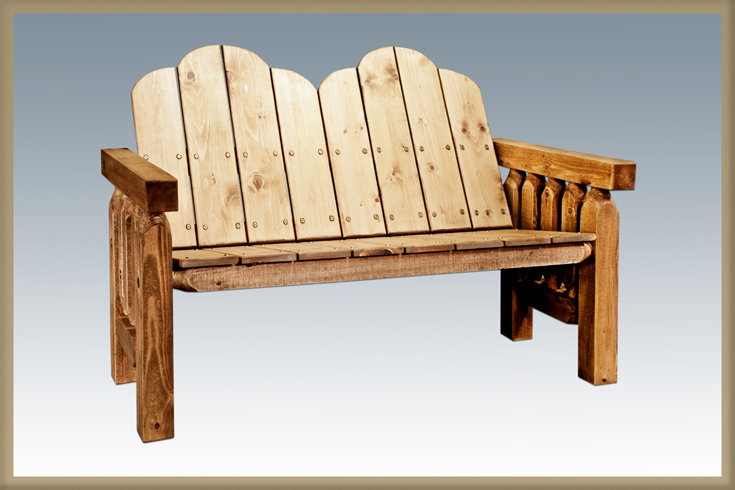 The corner where an Adirondack back meets the seat makes it feel like a rocking chair that is rocked back. But an Adirondack’s stable base keeps it that way all the time. 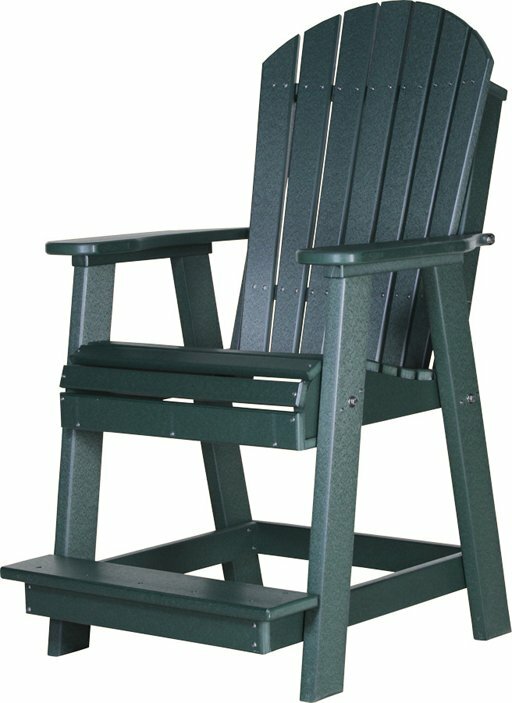 An Adirondack’s seat can feel low, so in the higher part under the knees, the seat planks curve and offer a stable base to get up and down from. 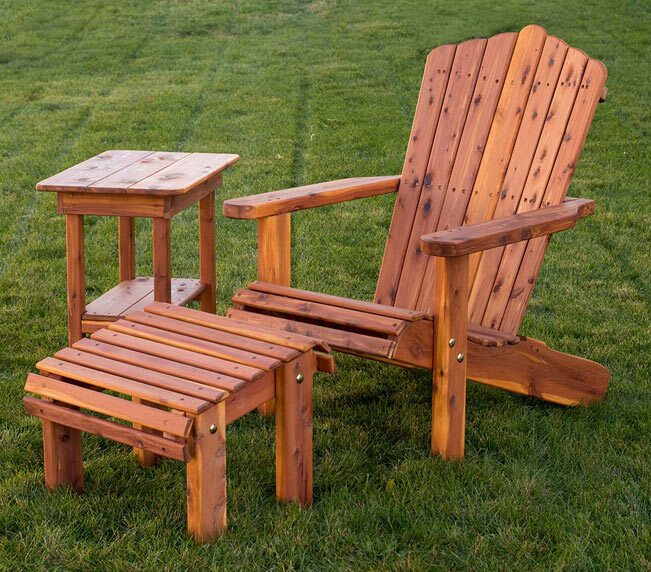 If you can’t decide between a lounge chair and an Adirondack chair, try an Adirondack with a specially shaped ottoman so you can switch between them. 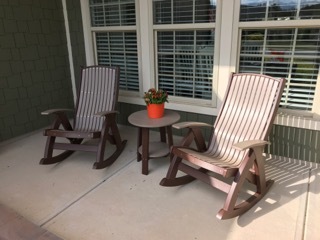 A balcony chair is a raised chair in any variety of outdoor relaxing styles, and differs from a bar chair that usually comes in dining chair styles. A balcony chair’s many functions give it an advantage over a bar chair. It’s tall enough that a sitting person can be similar in height and socialize with people who are standing or walking by. It’s tall enough to use with a pub or balcony table, or between meals, to sit back and look out over the railing. 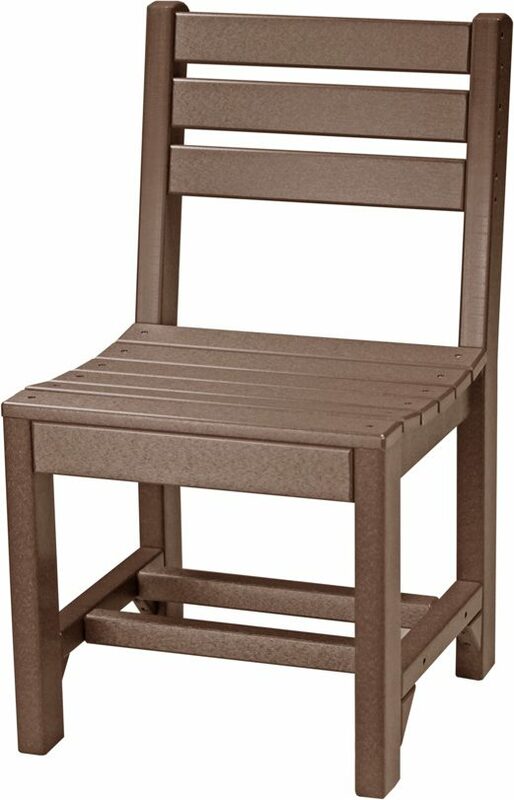 The most distinct advantage a balcony chair has over a bar stool is its stable base with a step that you can use to climb in and rest your feet instead of letting them hang. If you have a small patio that might otherwise make you choose between designing a lounging and a dining area, a balcony chair can do both without taking up double the space. 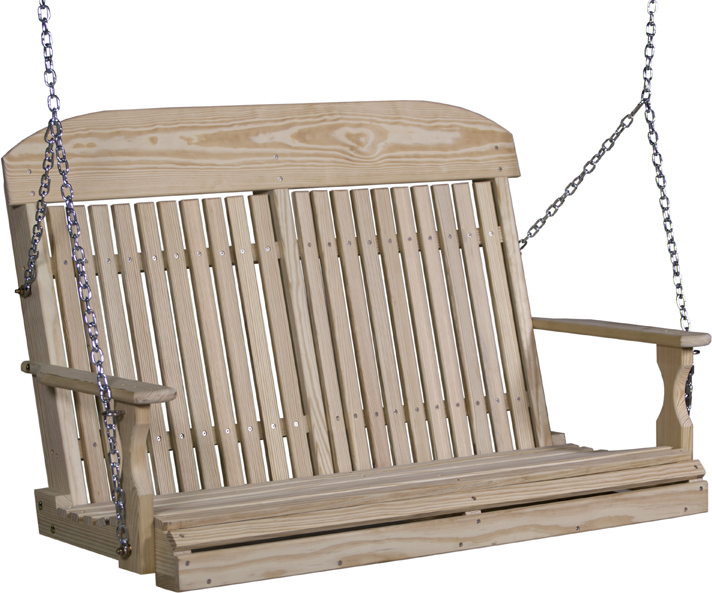 A patio swing is a well-loved country classic in outdoor furniture. Suspend a bench with a chain and you have seating that rocks in the breeze while you settle down with a book or a cup of tea. 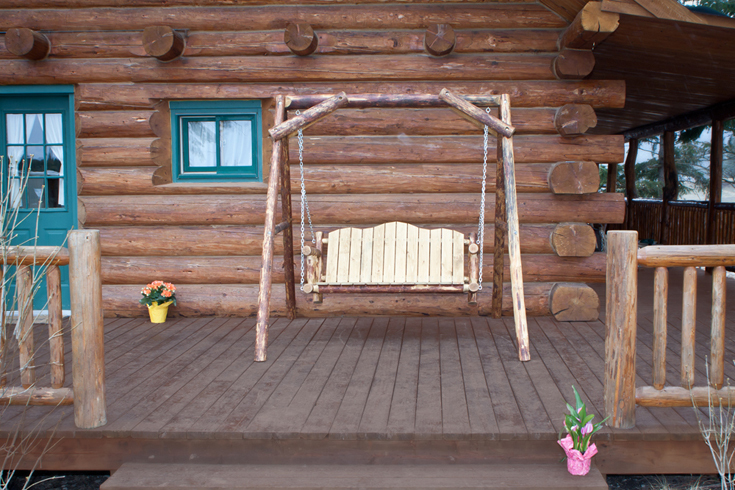 If you have a covered porch, you can hang your swing from a strong ceiling beam. 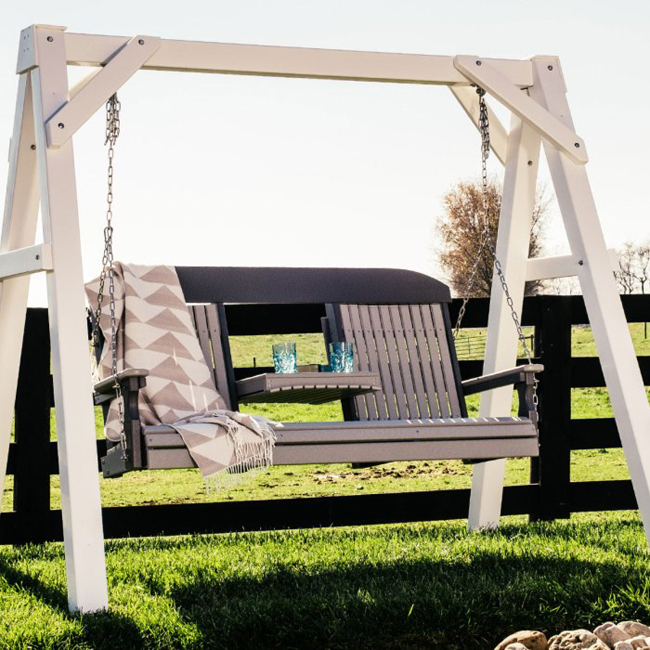 To place your swing anywhere you’d like, choose a free-standing swing and hang it from an A-frame or a swing stand. Speaking of swinging around, a lawn glider is a unique design of backyard swing that mounts two seats facing each other for conversation and teamwork. You and a friend can have fun talking and swinging together on a double lawn glider. Here’s how it works. The frame supports a gliding mechanism at the top. Instead of chains or rope, solid poles swing from the mechanism and hold the seating structure of two benches and a footrest. From a sitting position, you can make the glider move by pushing and pulling the footrest with your feet. 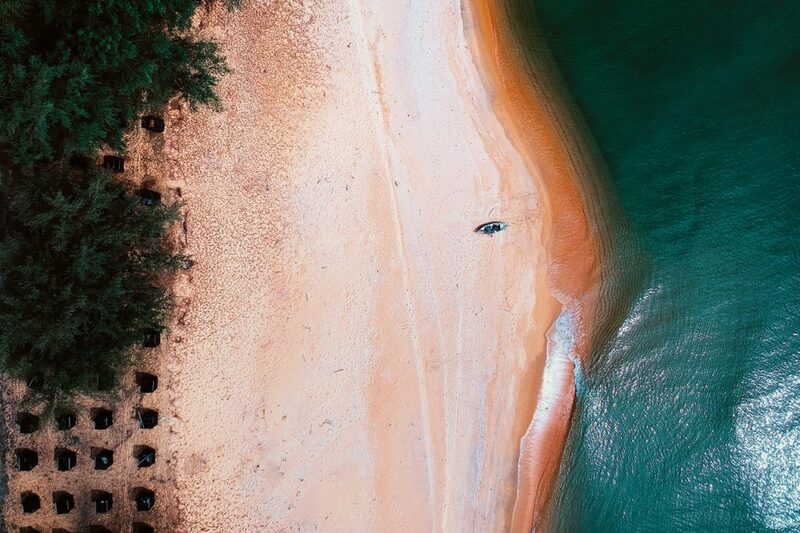 When two people get in opposite each other, it’s a great way to make a connection. Your back yard is a great place to go on a picnic. 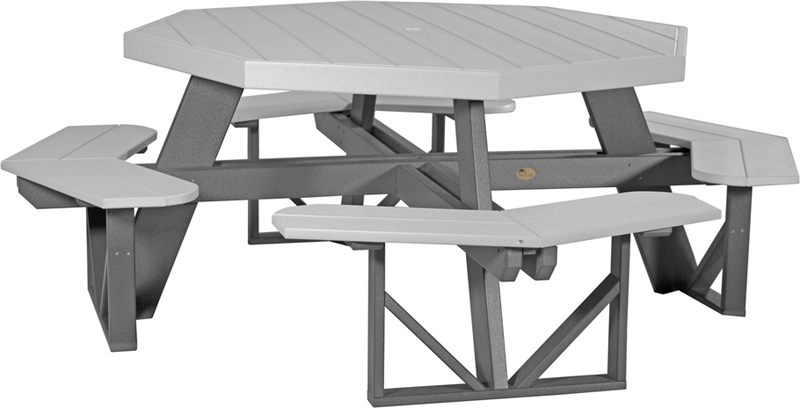 A picnic table is a convenient multipurpose item that keeps the benches and table in one piece so you won’t have to track down chairs at the end of the day. It’s easy to keep organized around kids or on a big property. That’s why households can benefit from picnic tables as much as parks and resorts can. Surprise! A patio set has stools or chairs. Some patio sets have height options so you can get bar chairs and a nice high outdoor dining table. Dining chairs are light, simple, and easy to move around, and outdoor ones survive being lost track of. 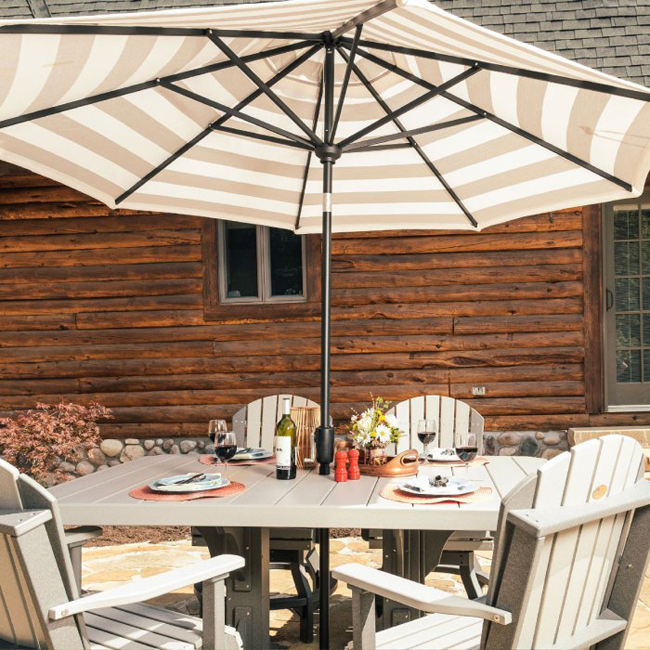 Next time you have an outdoor activity together, you might only need to move your outdoor dining chairs around to where you need them. Of course, you can always get spare dining chairs above and beyond the chairs from your patio set. And don’t forget all the options you can get, like a swivel base and barstool height. If you choose poly vinyl, you won’t have to worry about your guests being rough while hauling your spare chairs around. 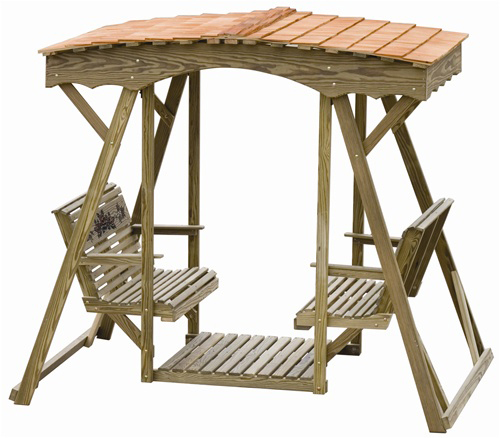 Outdoor furniture’s rugged, elegant look makes it easy to design with options and conveniences. Keep an eye out for benches that morph into picnic tables, chairs that fold, and different chair heights. Some chairs have gliding and swivel options. Accessories include cup holders, umbrellas, weather-resistant cushions, gliding and non-gliding footrests and ottomans. If you’re ready to design your best patio yet, these seating options can keep it fun and relaxing. How are you planning to get yourself outside more this year? You can join the conversation in the comments below. 2019 is here, and the color coral is hot. Actually, it’s a warm and expressive response to the middle of winter. Pantone made Living Coral their Color of the Year for 2019, to provide a needed sense of optimism. For the rest of us, coral can be an encouraging reminder to lower our carbon footprints and take care of our reefs. So how can a homeowner use the color coral in their interior design? 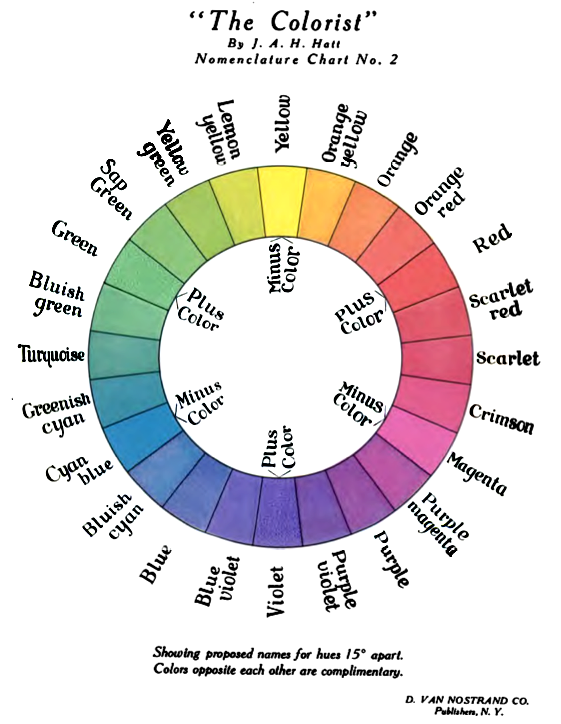 The first step is to understand the color theory and history underpinning it. The color coral comes from a particular genus of coral in the ocean called Corallium. Corallium is a group of coral species which humans commonly call precious coral or red coral. Various species live in the Mediterranian Sea and off the eastern coast of Asia. 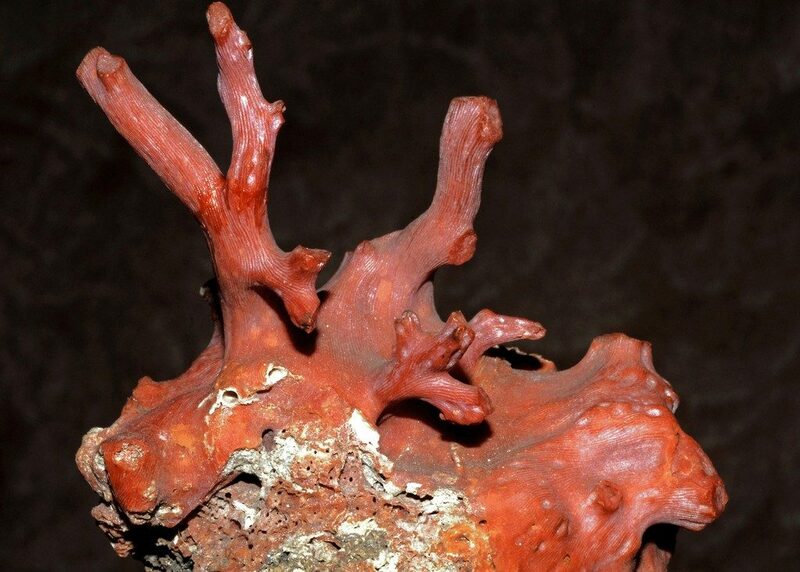 Throughout history, humans have harvested precious coral to create art, jewelery, and folk medicine. Today, local fisheries and conservationists are debating different ways to protect the species and harvest them responsibly. But coral has established its legacy as a sophisticated tertiary color. The color coral is not a pink. It’s partly orange. The confusion comes from the fact that orange contains some red, and pink is a tint of red. But coral is a tint of orange-red. Coral’s red-orange origins affect which complementary colors match. While pink is an adventurous off-match for blue, coral complements blue more directly. On the other hand, pink is a better complement for various greens than coral is. Prefer blue-greens like cyan and teal? Coral and red-orange are perfectly opposite to those, perfect complements. Neutrals may go with everything, but everything has a unique effect on neutrals. 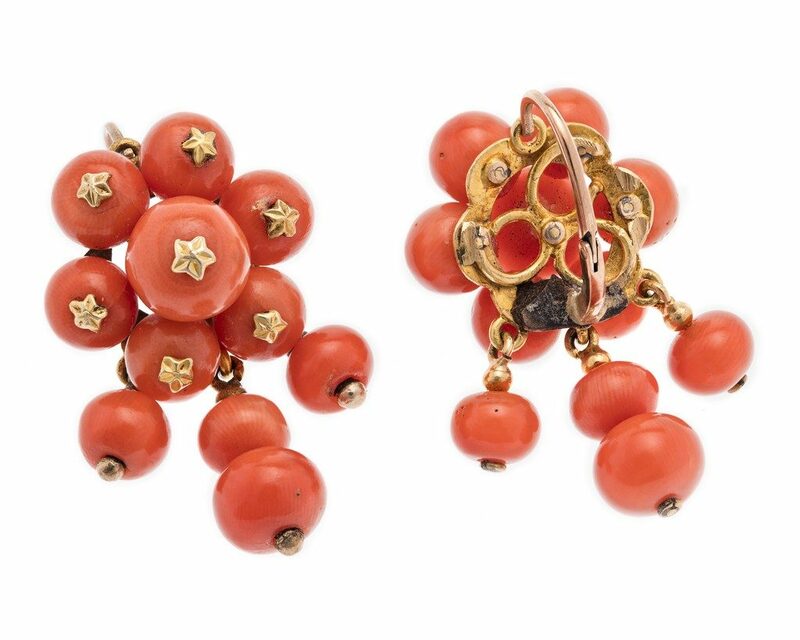 Coral is louder than pink but gentler and more sophisticated than orange. It is a color of joy: happiness that is employed wisely. A pop of coral in a neutral environment is not just stylish but also rich and welcoming. When deciding where to put any color, it’s imperative that you get physical samples and view them in various kinds of lighting you plan to use, on the materials you plan to use and the angles you plan to see them from. For example, you may want to view a paint swatch in indoor daylight and evening lighting. Different materials and textures can affect the way a color looks in real life. For example, a computer screen can’t simulate all the dimensions of a fabric weave. Plus, computer screens differ from one another. Your computer screen can help you make preliminary color choices, but it won’t represent colors accurately enough to ensure your final decision. Since different colors interact with light differently, you should even use real samples to view complementary colors together, to ensure they match the way you intend at different times of day. Since coral is a relative of pink, you can use lighting to temporarily turn a pink or red object coral. For coral in daylight, place a translucent red drape over a sunny window to turn it coral in appearance or to shine coral light into the room. 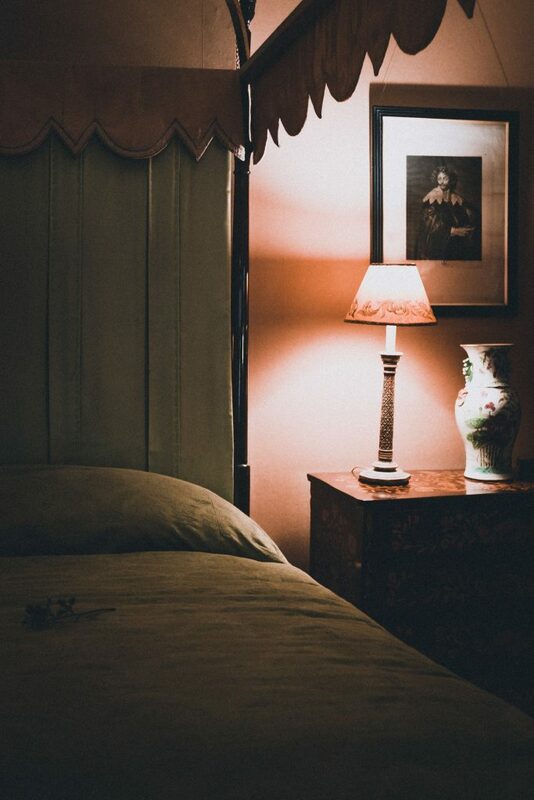 For coral in the evening, select light bulbs that are warm in color to add that golden tint to a pink or red item. Another reason why your computer screen can’t finalize your color decisions is, your paint and textile brands have their own meanings for color names. Coral pictures and swatches you find online may not look the same as the color any given brand calls “coral,” and brands will differ from each other, too. That’s why they have their own palette and sample booklets. Sometimes they even require you to view swatches under certain light and light color levels to make sure you’re seeing the sample color they meant for you to see. Pantone creates its colors by mixing pigments, so they can never quite show up properly on a computer screen. When designers do their best to simulate Living Coral on screens, the result is a pinkish red-orange, while most coral colors are orange-red. Wait. Red-orange? Orange-red? Yes, those are different colors. Red-orange has a more red hue. Orange-red has a more orange hue. All coral colors are lighter tints of these hues that you can see between red and orange. Another trait that distinguishes Living Coral from many coral colors is daring brightness and saturation. Living Coral catches the eye almost as though Pantone managed to create a new color. Its perpetual youth is challenging enough to please eyes hungry for stimuli, as the web and gaming generation begin to gain traction and become a buying audience. Coral pink is, not surprisingly, a pinker version of coral. It’s a perfect complement to teal. Bittersweet is another orange with a little bit of pink in it. 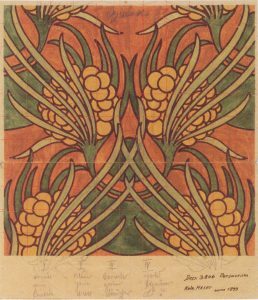 It came into its own at the turn of the twentieth century and is a luxurious member of the Art Nouveau palette. Salmon the color is more pink and delicate than coral with hardly any orange. Use it to send a gentler message or to balance a greener blue-green. Light salmon, with its lighter tint, may be easier than salmon to use in room designs. Nearly a neutral, it can set a calm mood while providing more color than traditional neutrals. Tea rose orange is inspired by the pink and gold spectrum of hybrid tea roses which Europeans started breeding in the 1800s. These hybrids combine Chinese tea roses with English hybrid perpetuals to create petals with strong shapes, often with dual coloration fading from a yellow at the heart to pink at the tips. 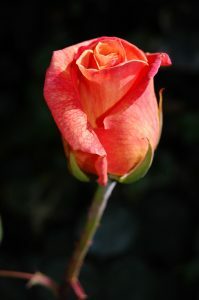 Tea rose orange is in the orange category, unlike regular tea rose, which is in the rose category. Terra cotta is a subdued red shade with brown undertones. Rather than hot, it’s a warm color reminiscent of ancient clay. With its tertiary personality, coral may seem like a challenging color to use in a home design. But it’s actually a human, emotive answer to quiet interiors stricken with the blues. Do you plan to use the color coral this year? Reply in the comments below. Lynne from Michigan bought some oak Econo Dining Chairs with Wheat stain. 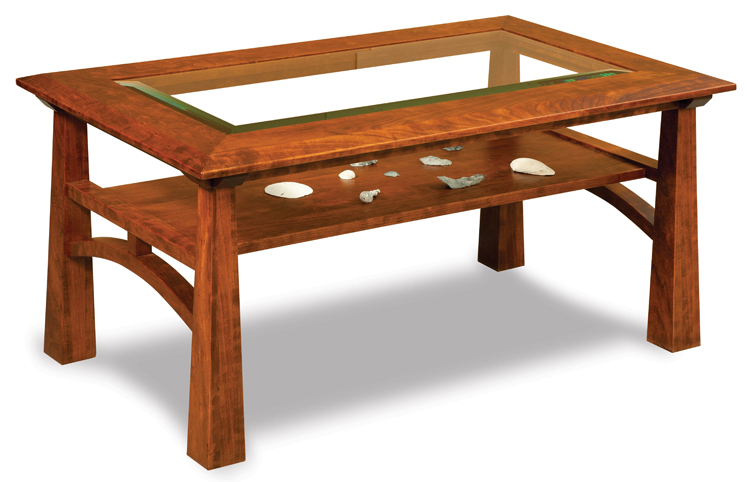 Because wood comes from trees that were living and growing in unique environments, even the simplest crafts from solid wood are individualized. 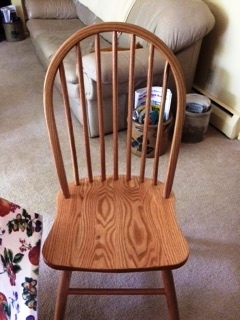 North American growing conditions show in the distinguished oak woodgrain of the chair Lynne sent us a picture of. I am very satisfied with the quality of the chairs I ordered through you. They are beautifully constructed and finished, and comfortable to sit in. I found the shopping experience very pleasant. I always got prompt replies to my questions and the chairs were finished ahead of schedule. 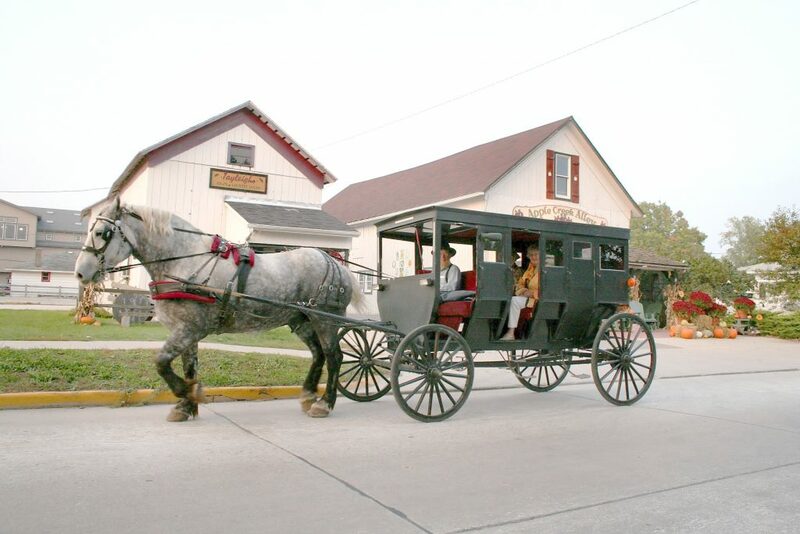 It was great that I could pick them up myself in Shipshewana and save on shipping costs. I would highly recommend your company to anyone looking for quality furniture. Because Lynne chose chairs handcrafted in America, they tell a very human story. 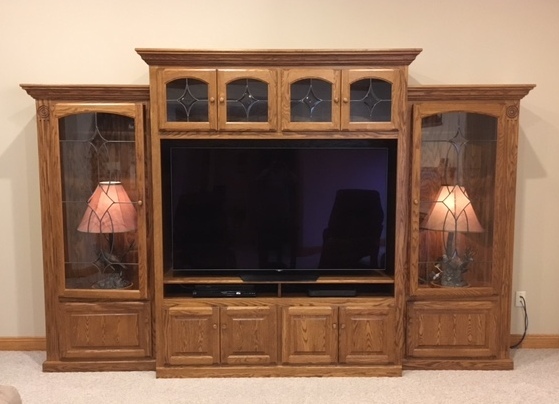 We’re an online shop working with builders all over the USA, and it might just be a local drive from where your furniture is made to where you want to bring it home. We can save you carbon and chemicals compared to conventionally mass-produced furniture with their huge shipping and supply chains. We even helped Lynne get a taste of where and under what work conditions the craftspeople made her chairs. In today’s era of internet shopping, the assumption is that you don’t have to leave your house to buy what you need. But with all the choices you can access at web-based stores, the web opens up a bigger and more interesting world. You could find you have more opportunities to leave your desk and adventure in the real world than before. Here’s a shot of the Econo Chair from an angle so you can see more of its features. 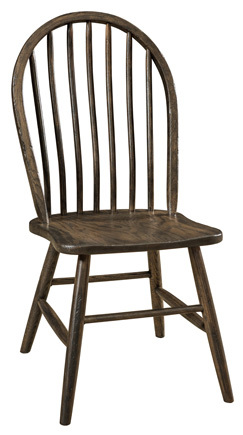 The Econo is a Windsor chair with plain spindles that keep it together in Shaker or modern decor schemes. But it still has contouring in the back and a small scoop in the seat, adding twenty-first century comfort to this design classic. For a handmade chair, it may be inexpensive, but that doesn’t mean cheap. Have you ever gone on a trip to buy something special and unique? Let us know in the comments below. With the winter months closing in, the shorter days can be a bit depressing. A lack of sunlight affects the human body in adverse ways, and it also makes each room in your home darker and plainer. In the winter, every room’s design benefits less from the depth and color that bright, direct window light offers. But rooms that have limited windows in the first place are hit especially hard. Here are 6 rooms that are notorious for getting too dark, with some tips on brightening them up. You’re lucky if it’s a walk-out basement with one wall that can have full-sized windows, but even then, at least one wall will be underground. Most basements are buried all around and can only have foot-high windows right up against the ceiling. 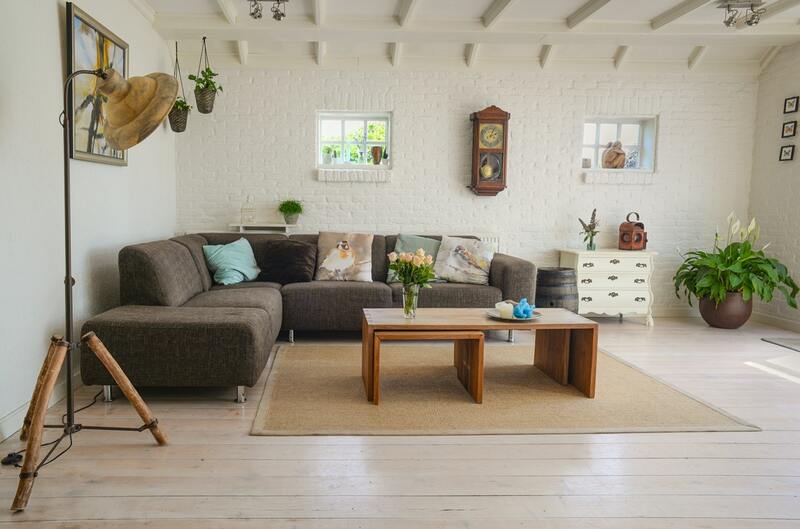 Brightening up a basement is vital to creating a living space that supports healthy moods. Light colors help avoid making a basement feel even darker. Reflective touches make the most of light. Remember to arrange furniture so it only creates shadows where you need them. Since it’s a whole apartment we’re talking about, nearly all bright design tricks are useful somewhere in a basement apartment. Many apartments and condos are against one or two outside walls in the building, which means two or even three walls are going to be inside. At least some of the rooms have to be windowless. 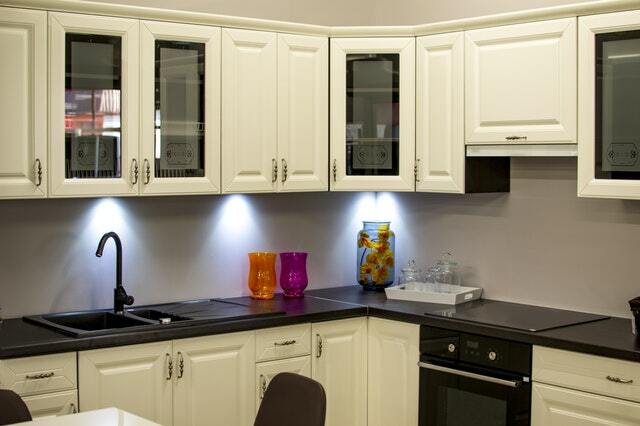 The most common windowless room in an apartment is the kitchen. 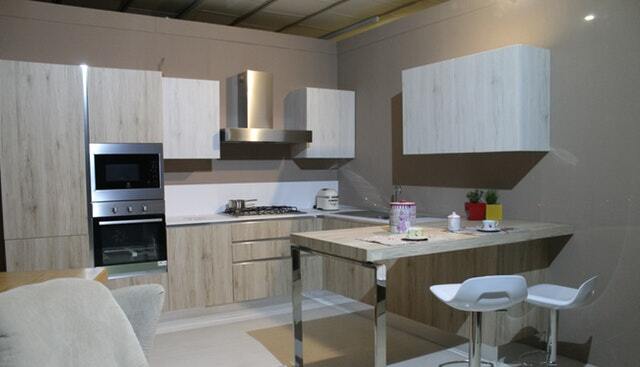 The kitchen is a functional room, where occupants may be too busy for a lack of outdoor light to bother them. An apartment kitchen occupies substantial footage against an inner wall, and leaves the windowed walls free for the rooms where people go to relax, such as the family room, dining room and bedrooms. Luckily, kitchens are a great place for tiles, white or metal appliances, and marble countertops. Glass cupboard doors are another contemporary alternative. Clearly, people have not always known about mold. In modern times, most municipalities require that bathrooms have ventilation either in the form of an outdoor window or a ventilation fan. But for privacy’s sake, that window is going to be small, frosted or covered, and not open very wide. 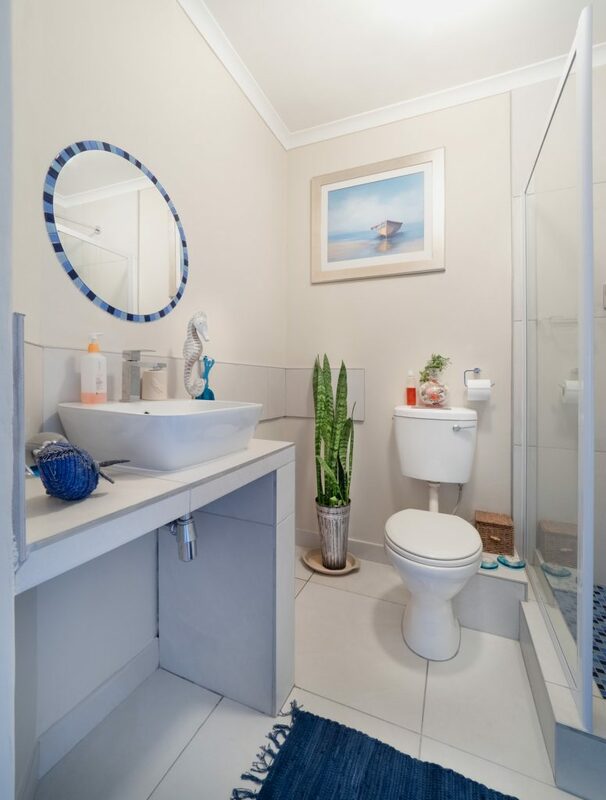 The bathroom also serves as a functional room: when you have limited outdoor walls, why not use them for the rooms where people relax or socialize? In climate-controlled homes, many people would rather use a fan for ventilation than a window. You can update your old bathroom, but chances are, it stays in the dark spot where it was originally built. Whatever your reason for having a bathroom with no outside window, brightness improves its functionality. 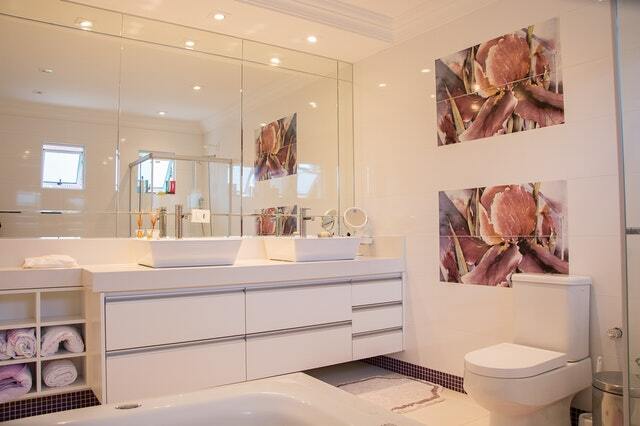 So try adding chromed taps and glass shower doors or a clear curtain. Use shiny tile or high gloss paint, and make that mirror as big as possible. And don’t shy away from bright bathroom lighting if you plan on shaving or doing your makeup there. Seal your floors! Sealing your floors and walls will help protect your concrete, your belongings, and even the rest of the house from cold and moisture. The finish will be more shiny than concrete, even if you choose a basic grey. Depending on the function of the room you can also choose storage units and hooks with metallic touches. Only so much of a roof can be a skylight, and that’s if your climate makes them practical at all. Many attics have a small window whose size is limited by the triangle of the roof above. It’s a cozy little nook reminiscent of the hole in a tree that cartoon owls live in, except that humans don’t see in the dark as well. If your attic bedroom is shaped like the roof and its ceiling tilts down on one or two sides, then you have to think carefully about where to put tall and short items. Use vertical space at the tallest part of the ceiling to mount lighting, and save floor space for furniture. Avoid creating shadows with a canopy bed, if one even fits. The ceiling may be too low on the sides of the room fit a dresser mirror, so you may need a dresser and a separate full-length wall mirror or floor mirror. Plush touches like a handmade mat can help make your bedroom more cozy while being easy to throw in the wash and keep light-colored. Everything has to go somewhere in a tiny space, so where do the windows go? Tiny homes need to use all their vertical space, and tiny home designers put a lot of their focus into making a space as bright as possible despite very little wall space. Light colors do more than brighten a tiny space. They can also make it feel bigger. Stain or paint wood in a light color. As for what furniture to use, try to keep moving parts to a minimum so you won’t have to get out of the way every time you want to open something. Use details like hardware and trim to add shine. 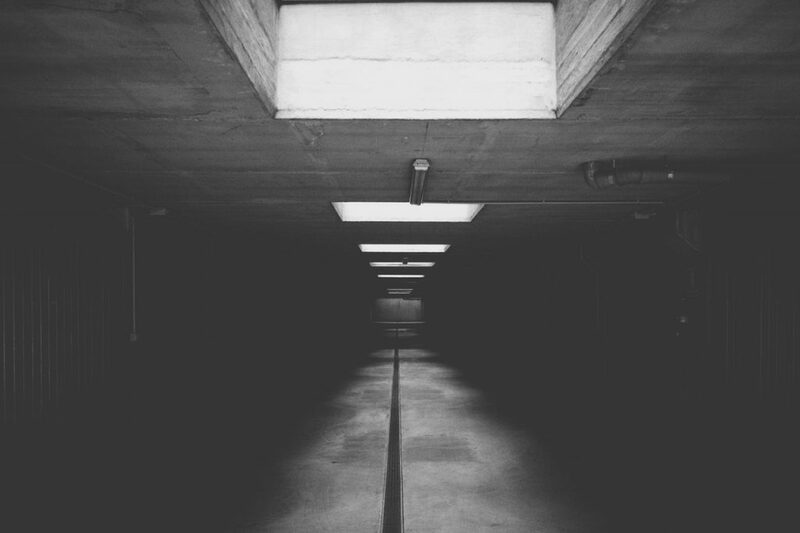 A dark room can be a hassle to get things done in, and can kill your mood. Luckily, there are design tricks you can use in addition to lighting to make a room feel brighter and more functional. For more bright design ideas, head on over to “34 Brilliant Furniture and Design Ideas to Make Dark Rooms Feel Brighter“. 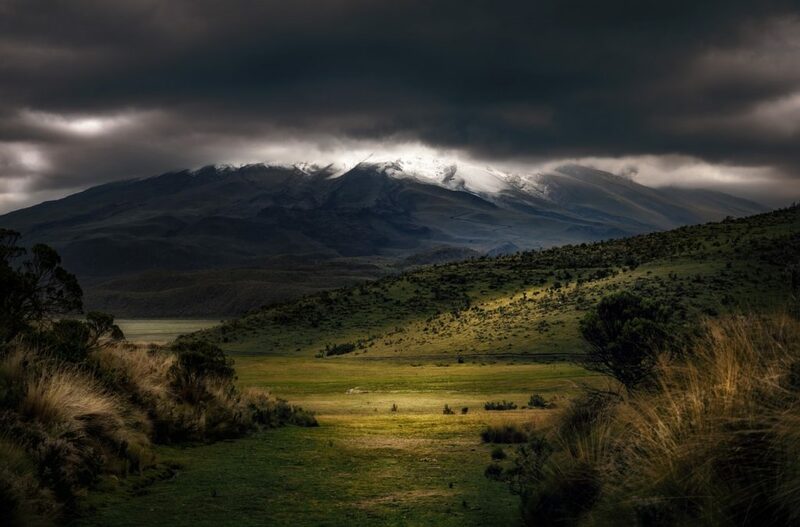 There is no light quite like outdoor light. But the limits of space mean most homes will have a room without access to an outside window. 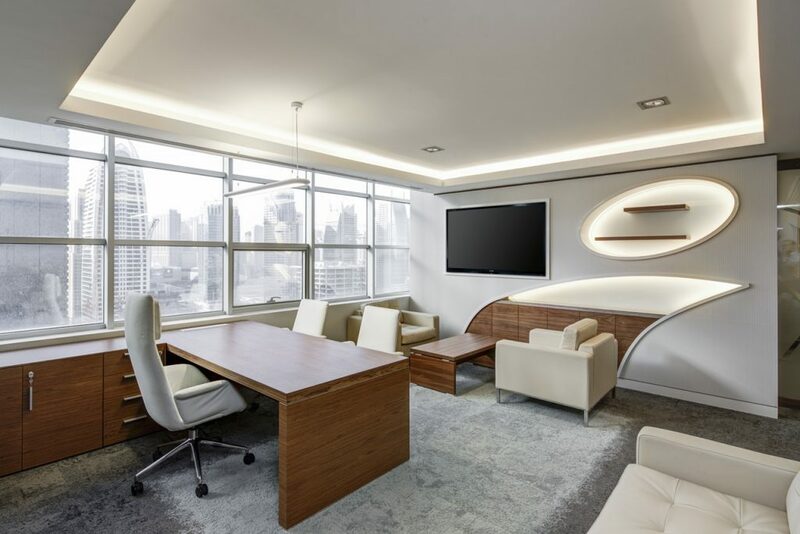 While it’s important to add enough lighting to elevate the mood of every room, you can also brighten up a room using the right furniture, design and decor. 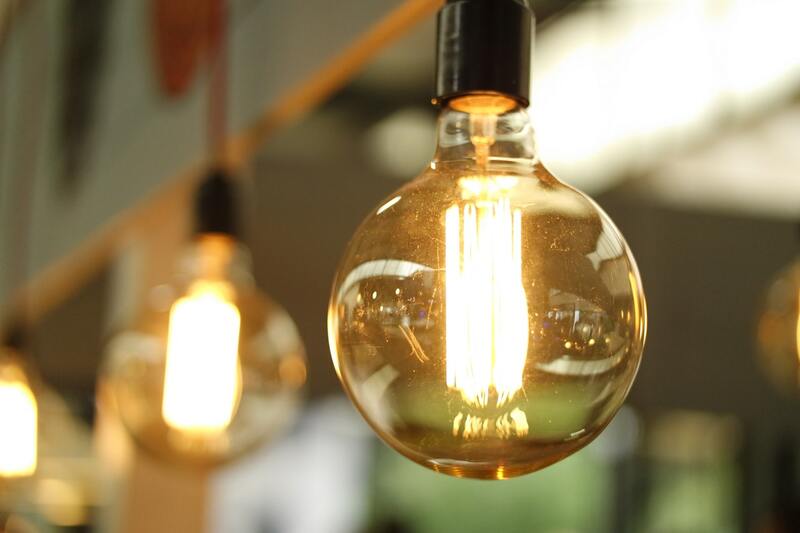 Here are 34 bright ideas. This one’s easy. Light colors reflect light, and dark colors absorb it. Try choosing a light color for your walls. A white ceiling is nearly prescribed for creating a sense of brightness. But an all-white room can look a bit scary, so be sure to balance your lightest colors with slightly less light ones as you move down to your furniture and flooring. This is especially true of accent tables. 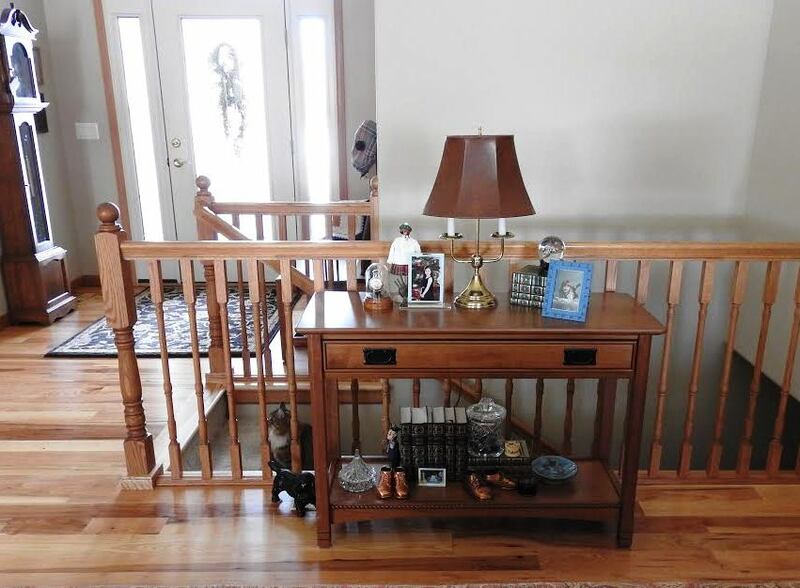 An open occasional table has no door covering the bottom shelf, and many open tables don’t have panels around, either. This means open tables let the light shine through. A closed table has side and back panels and a door, creating a block of shadow. It’s a daring move to use gloss on your walls, as every imperfection in your drywall will shine. However, gloss is great in areas that you need to clean often, such as bathrooms. If you have kids, you might want to use gloss in a wider range of rooms than you normally would. The dirt slides off of high-gloss paint more easily. In softer rooms, flatter paints can make a room feel more relaxing. Pay attention to where your light sources are, and work with them. If you can, arrange furniture lengthwise to your light source to create as few shadows as possible. Avoid tall furniture, like canopy beds, or keep tall pieces against the wall. Reconsider using large pieces to split a room up, or do it lengthwise to a window or light source. If you have a reflective item such as a mirror or hutch, place it at a right angle to your window, if you have one. If you place it on the same wall as your window, the light will go right past it. If you place it opposite the window, you may accidentally reflect light back outside. A shining table top is especially effective in the middle of a room. You can also use this strategy to create shadows where you do need them, such as just above the chair at a computer desk. Your hands touch doors more than walls, so they’re an opportunity to use higher gloss paint, even in a room where the walls are better suited to flatter paint. If you don’t think your room can handle higher-gloss walls, you could still apply glossy paint on windowsills, doorframes, and molding. Your upholstery and drapery add welcome color but if you get the right weave, they can also add sheen. A Jaquard weave is a popular style of fabric mixing softness, shine and colors. 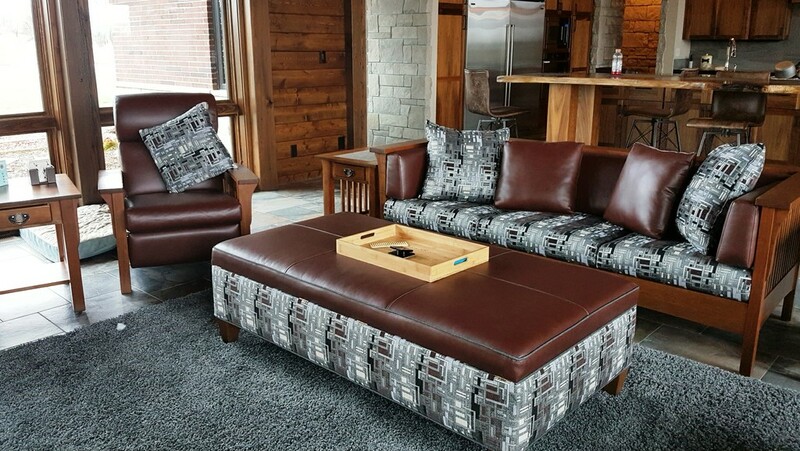 Leather can make a sofa look bright and luxurious. 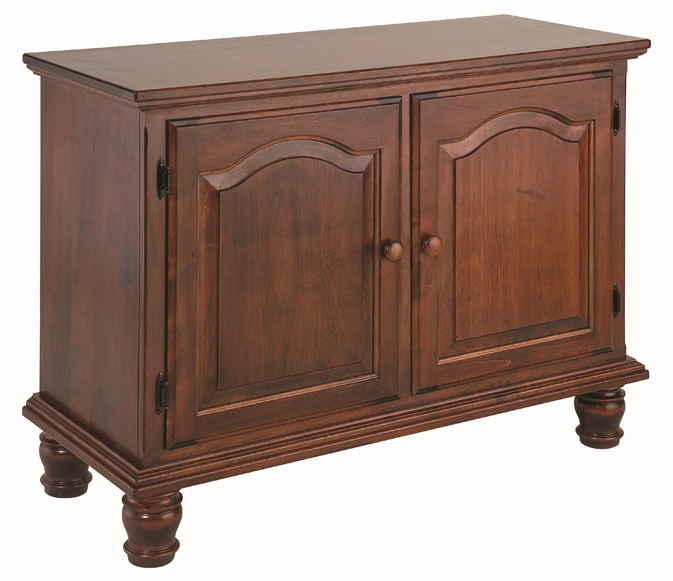 A light-colored stain makes your wood furniture look contemporary and natural. A lacquer can help it reflect more light. A light-colored wood floor adds an airy effect, yet balances walls with its contrast. Worried about keeping a light rug light? Try using a patterned rug that obscures the worst stains. Or stick to very small rugs that are easy to put in the laundry. Not only is a glass surface reflective, it also doesn’t stop light from passing further into the room. Glass furniture and glass cabinet doors can make a room feel lighter and bigger. Glass cupboard doors provide an advantage over doorless cupboards by helping keep more dust off your dishes. Are your countertops shiny or mat? Are they light or dark? If you’re worried about stains, try using a tiled surface that’s easier to clean, or a speckled surface that colors blend into. Tile is an obvious choice for adding sheen to your wall or floor, and it’s even easier to clean than high-gloss paint. Your kitchen and bathroom provide special opportunities. Are your taps brushed or chromed? Are your appliances light-colored and shiny? What about your door knobs and window latches? Your cabinet and furniture hardware is another opportunity to add metallic touches. Mirrors reflect light, so they can really help a room shine. You can mount mirrors on your walls or even get them as part of your furniture. But there are more choices for shiny objects than that. Clocks are usually light-colored and covered in glass. Bonus if you can get a shiny or metal frame. 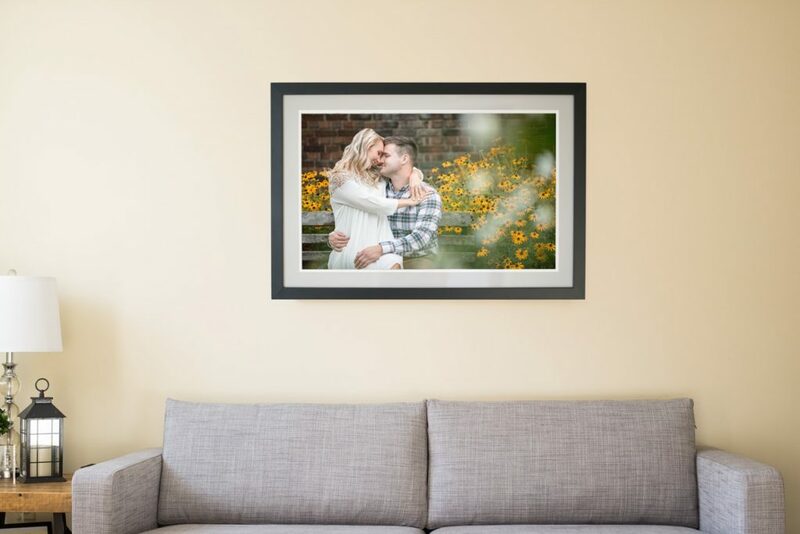 Framed pictures that are covered in glass add that shine. Like paintings? Try hanging a plasticky acrylic painting to add shine and texture. These days, you might even find a sparkling or metallic original. 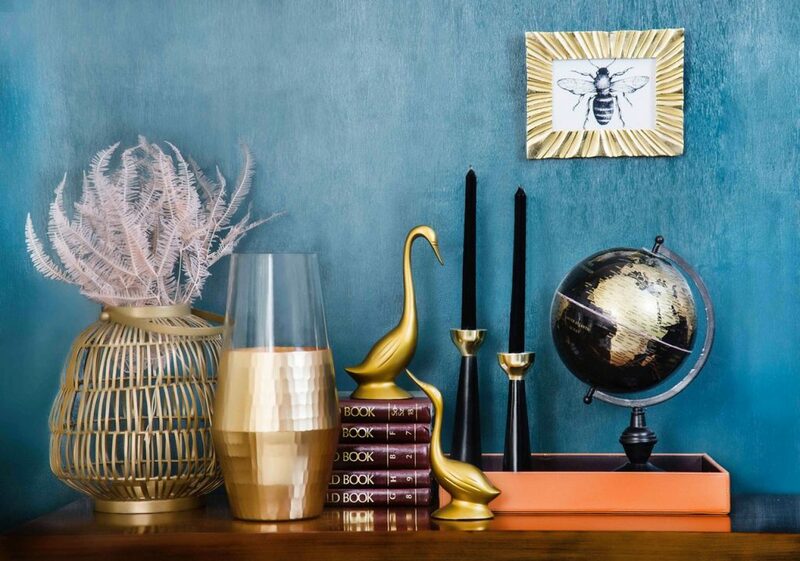 Vases, figurines, China, crystal… there is no limit to the sorts of treasures you might be collecting. A glass table doesn’t stop light from reaching through, and even reflects some upward. These tables can look modern or contemporary, but also artistic. A mirror reflects light and can nearly double its effect if you place it in the right spot. A floor mirror’s size makes it a great way to make more space reflective without mounting several mirrors all over the room. On their own, clock faces tend to be light colored with glass over them. Grandfather clocks add even more shine when they have a glass case displaying a metal pendulum. A curio cabinet is a display cabinet for trinkets like china. Usually, three sides are glass to display items. 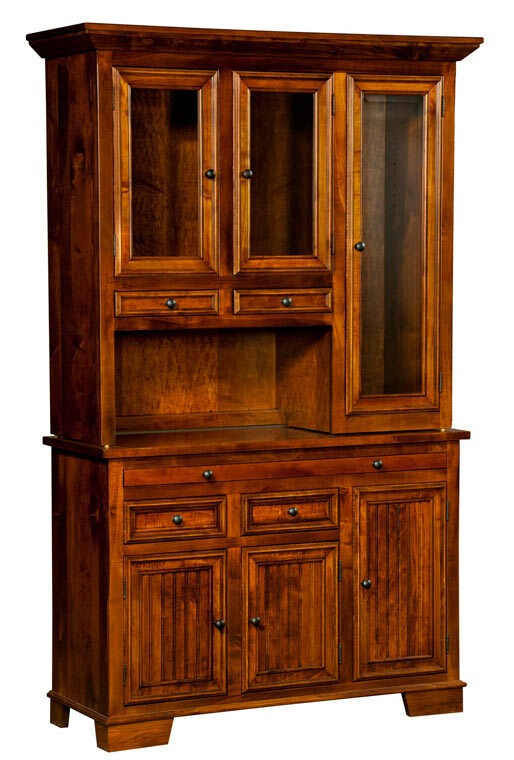 It is often as tall as a bookcase and displays items on shelving from the base to the 6” top. Inside a curio cabinet is often lighting and glass shelves, as well as a mirror back so you can see all around your little beauties. 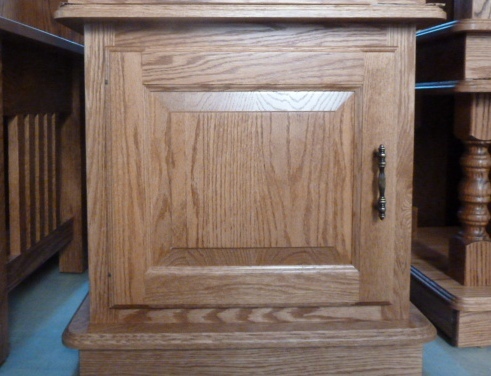 A gun cabinet keeps guns locked away safely while displaying them behind glass doors. Both hunters and historians will find gun cabinets helpful for enjoying their guns between use and keeping away from small children. 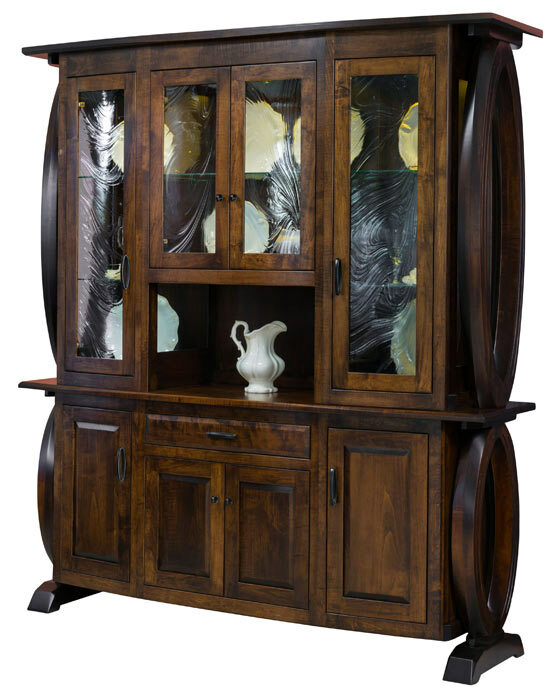 Also known as a china cabinet, a hutch houses dishes and porcelain collectibles. It differs from a curio cabinet by having more function than just display. Most hutches are wide with two or three glass doors that both display dishes and make them easy to access. While a few hutches are floor-to-ceiling glass, most rest on waist-high bases called buffets which store silverware and heavier tableware. While both the display doors and contents make hutches reflective, many hutches also have interior lighting, glass shelving, and mirror backs, so they’re great for adding ambient lighting to your dining room. Did you know that you can get doors on your bookcase? Now you know. 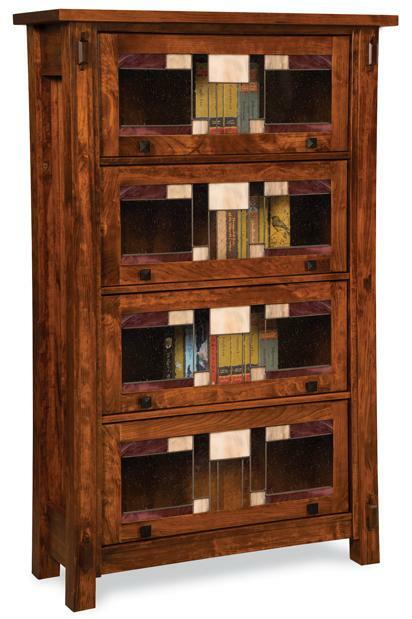 Doors help protect your things from dust and pets, and add a luxurious sheen to your bookcase. The original bookcase with a glass covering, barrister bookcases were created to protect old records that a lawyer might only need to access every few years. 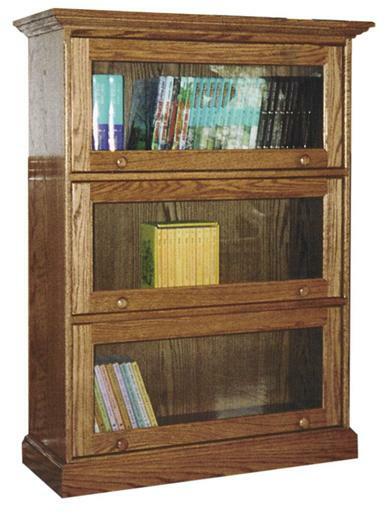 Unlike regular bookcase doors, which are tall and open like hutch doors, a barrister bookcase has a door for each shelf that opens up and over the contents. 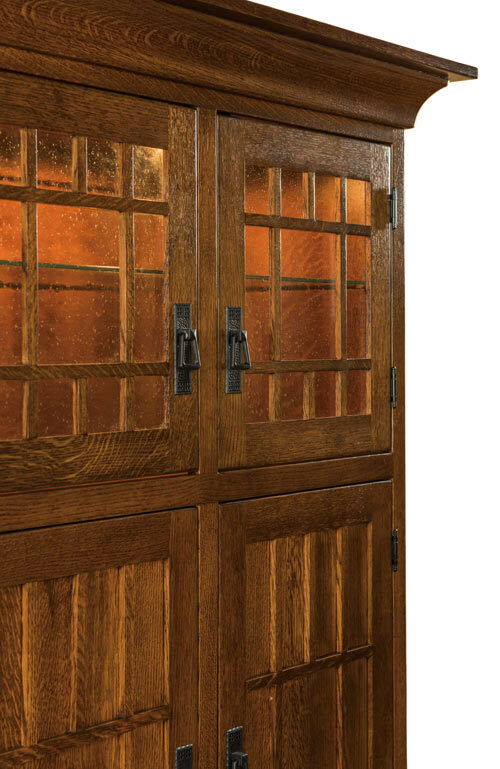 The glass doors are often stained or leaded glass for a shiny but traditional look. Metal coat hooks can add shining details to a mudroom or anywhere you hang things. Every little bit of shine counts in an underlit room. 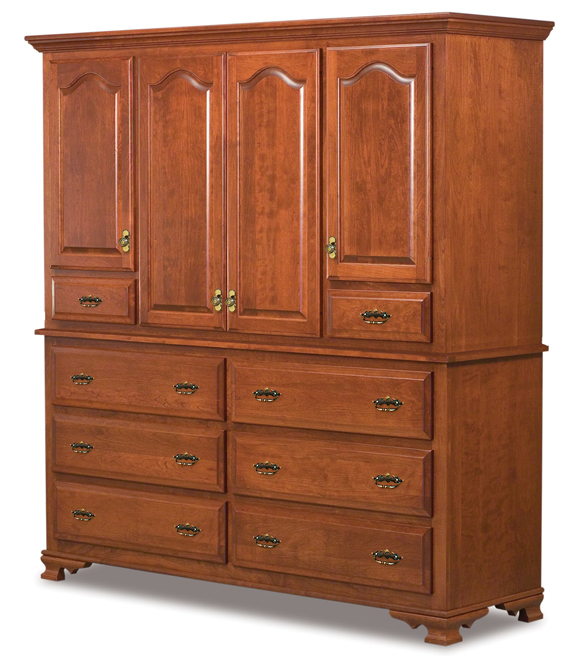 A dresser is an easy way to add a mirror to a room, creating a practical way to use vertical space. Want to feel like a star while making your room feel brighter? Now you know the name for those desks that people use to do their hair and makeup. 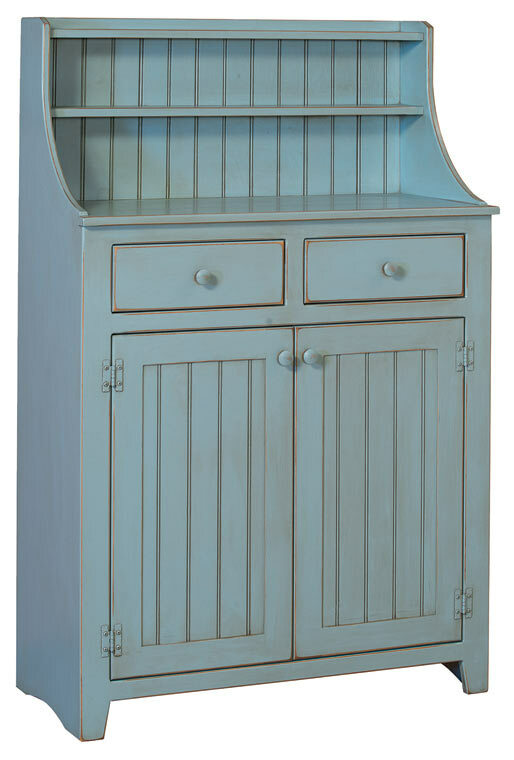 A vanity dresser has a spot for a chair, a few drawers on the right, and a mirror to help you get your face done. A bonus function is it helps free up the bathroom. If you’re remodeling or building your bathroom, a wash stand is a great opportunity to add a light colored or reflective countertop. 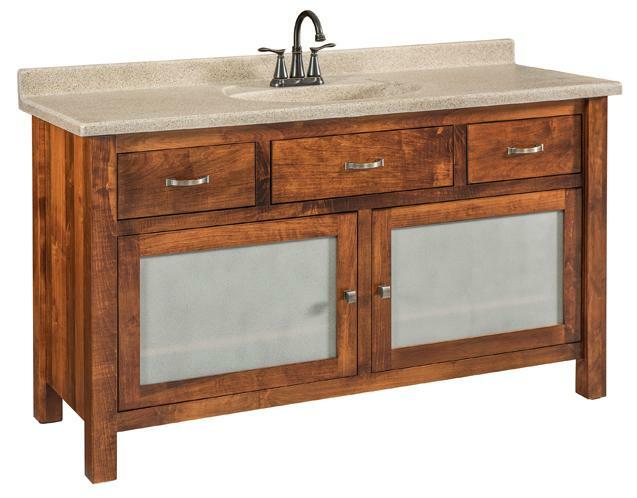 A wash stand is a piece of furniture that comes free-standing until you contain your sink and plumbing in it. It has the same kind of storage as the cupboard under your traditional bathroom counter. A master bedroom lives up to its name when the head of the bed has this massive wall unit, with armoires on the sides and a full-width mirror in the middle. This is a luxury unit for committed owners to brighten their reading time before bed. Most of these units have lights inside the top, and the mirror helps augment that light. Instead of a whole wall unit, sometimes you just need a couple of small lights, a little storage, and a mirror. You might find that turning off a recessed light above you is more relaxing than reaching for a lamp before falling asleep. A bright room is a mood booster, but not every room can have all the windows we would like. In addition to good lighting, the right design and furniture can help brighten a room up. Have you ever used a piece of furniture to augment the light you have in a room? Let us know in the comments below. 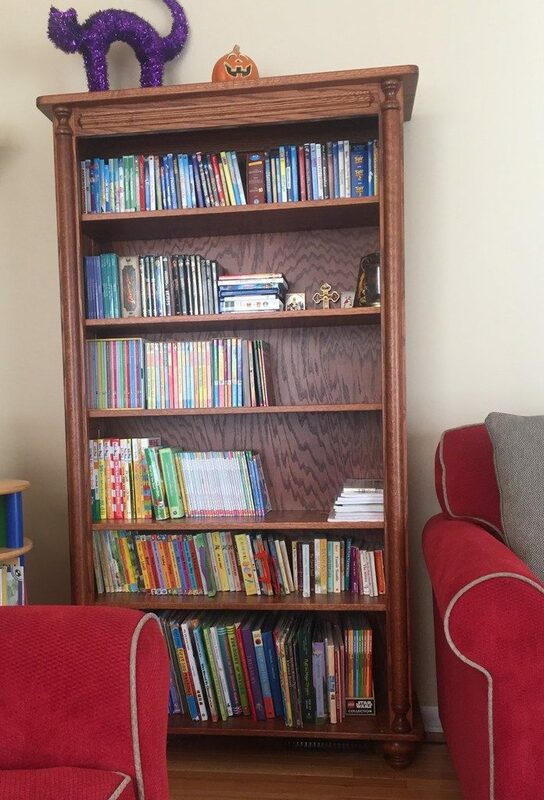 Ivelina from New Jersey got two new solid oak bookcases to create the perfect reading space for her kids. While she found the right bookcases here, she made a lot of careful decisions to make the books appealing to her kids. 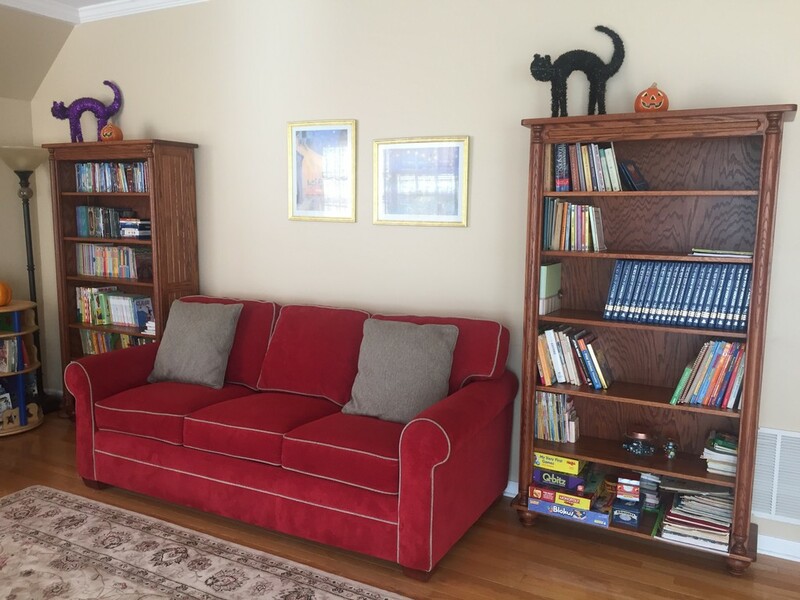 Read on for tips on designing an appealing home library for kids and the family to share. She gives books status by designing an entire room around them. The two large shelves surround a sofa and pictures. The heirloom quality of the bookshelves make them more than “just something for the kids,” it makes the kids’ books, and the kids’ work to build their futures, part of the family. The couch in Ivelina’s living room is facing at least one window, which you can see reflected off the wall art. 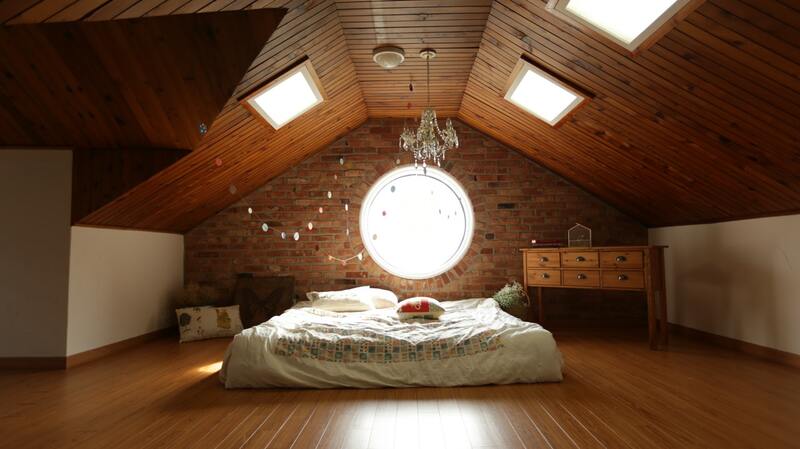 The room is bright during the day and makes a great reading spot. Ivelina’s reading room has at least one large sofa for one person to stretch out or for a few people to read together. The other sofa or loveseat is on the next wall on the right angle, so readers can look at each other. These shelves store books at the right heights for the right kids. This reading room stabilizes the bottom shelves with big picture books, while storing junior novels and reference books up higher. There is also a small shelf in the corner (not ours) to keep early readers at eye level for small kids. Red sofas with grey accents are a bold choice that’s perfect for a kids’ space. 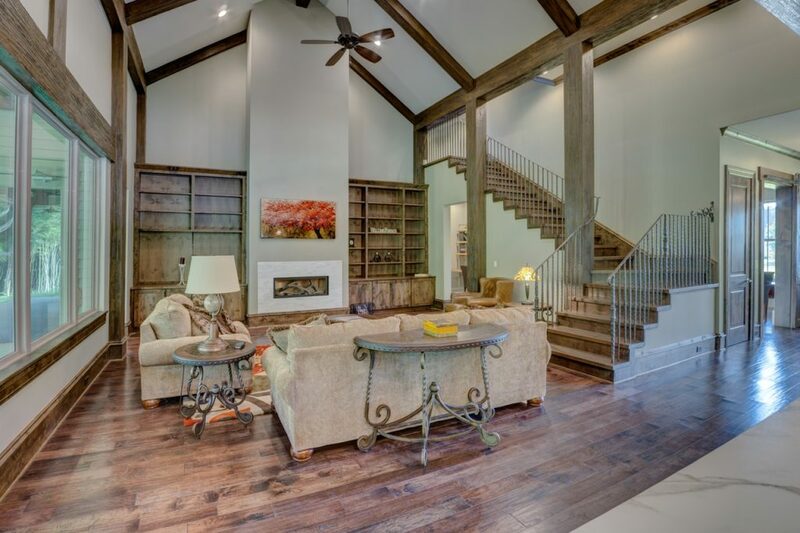 The books, games, and small shelf are colorful, and the copper-stained oak woodgrain looks like an awesome design. 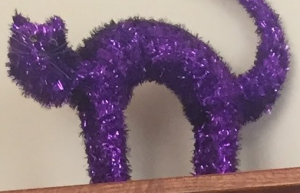 Ivelina’s tinsel cats stand in such expressive poses you can almost hear them meow. They add more color and more interesting curves to the room. And those jack-o’-lanterns’ smiles sure are welcoming around Hallowe’en. The living room is a place to socialize, so have fun with board games, marbles or anything else that you and your friends can stretch out and play on the carpet. Adding variety to your bookcases can draw more attention to them, and consequently, to the books. 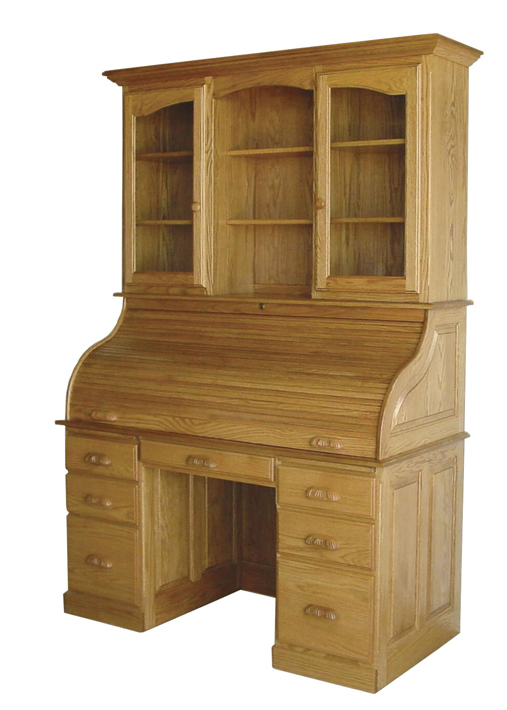 “We were very happy to find online the Amish Furniture Factory, from where we ordered 2 bookcases. The craftsmanship is excellent! The customer service and the delivery service met our expectations! What I like about the website is the variety of choices to match my personal taste. Great thanks to everyone who made these beautiful bookcases part of our home, we enjoy them every day. 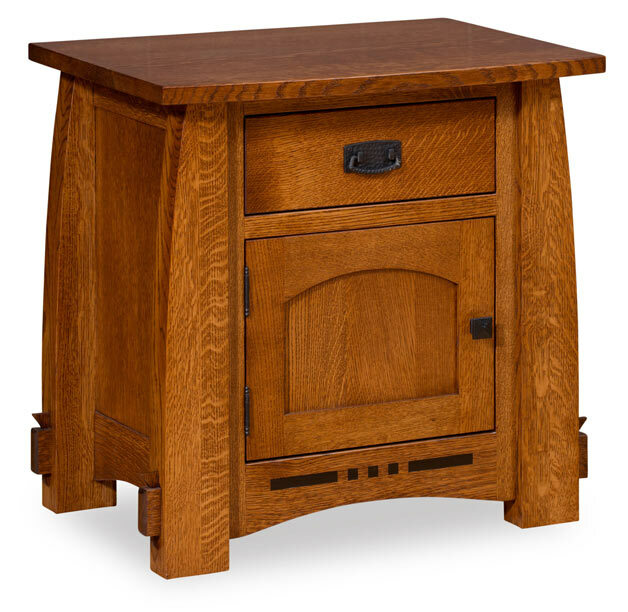 The Boulder Creek Enclosed End Table has one door and one top drawer. 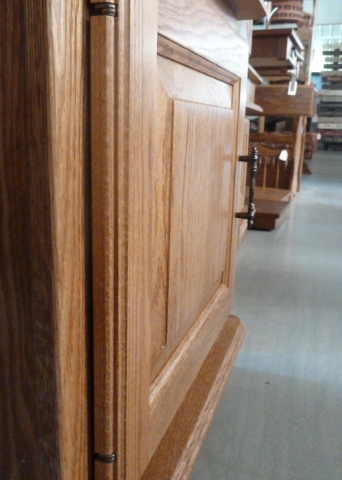 As with all of our handcrafted furniture, the drawer has English dovetail joints. The Boulder Creek comes standard with an ebony inlay in the front skirt, and black hardware. 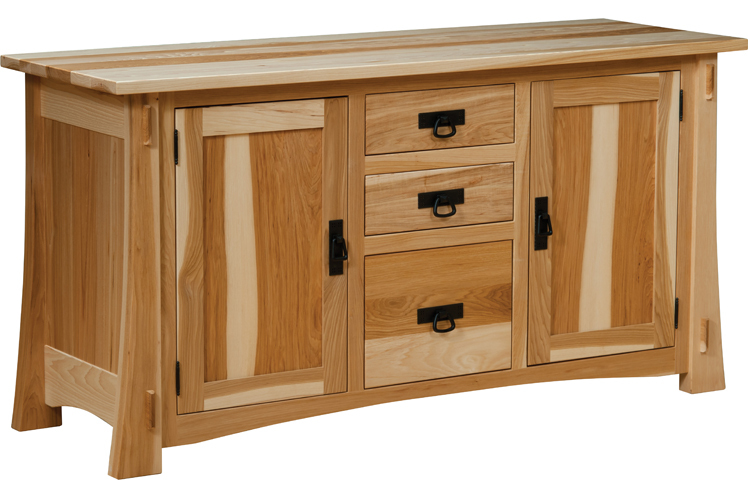 We’re showing this piece in quarter-sawn oak with Michael’s Cherry finish. 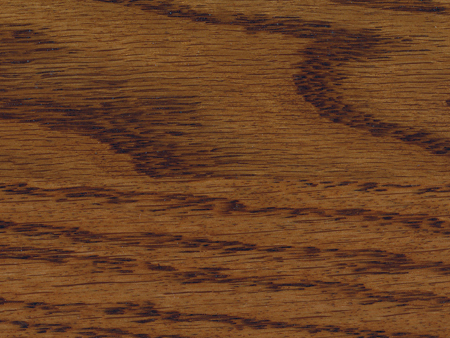 Watch to the end to see a close-up of the woodgrain’s lovely tiger striping.